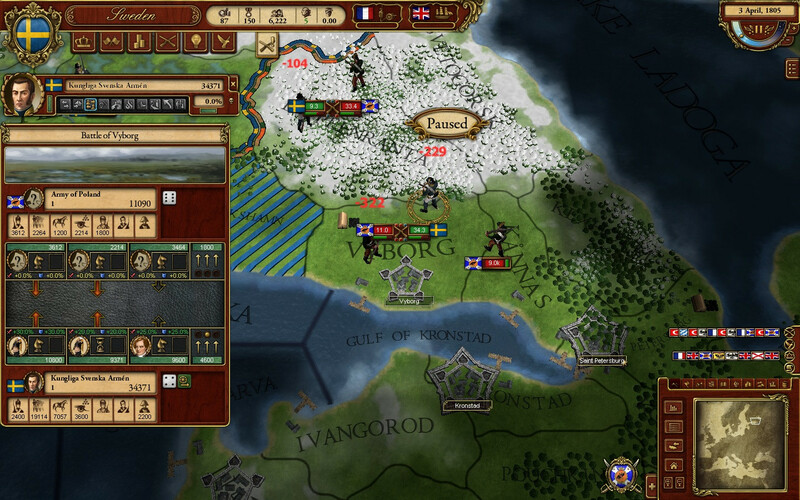 Paradox Development Studio and its parent company Paradox Interactive are a Swedish video game developer and publisher respectively that are best known for their real-time grand strategy/world simulation games that take place in nearly every point in civilized history, and playable as nearly every single country. 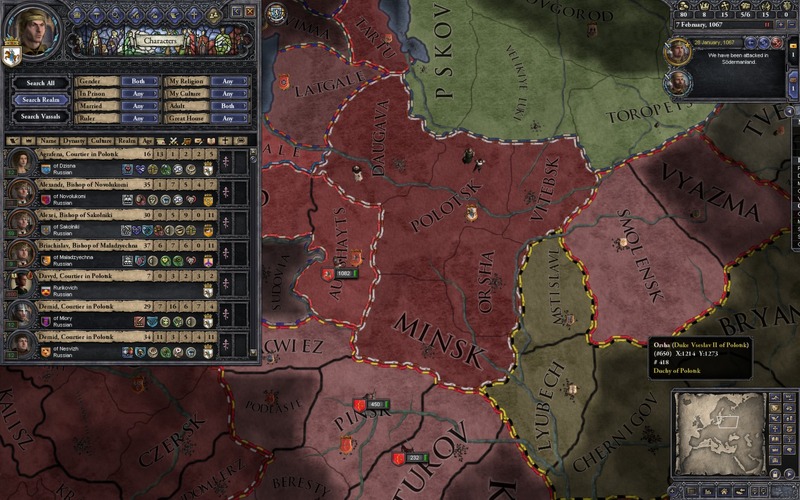 Paradox games used to be well known for being buggy and unfinished at release, but with Crusader Kings 2's nearly spotless release and the addition of real QA processes at PI, there is reason to hope that such horrors are behind us. 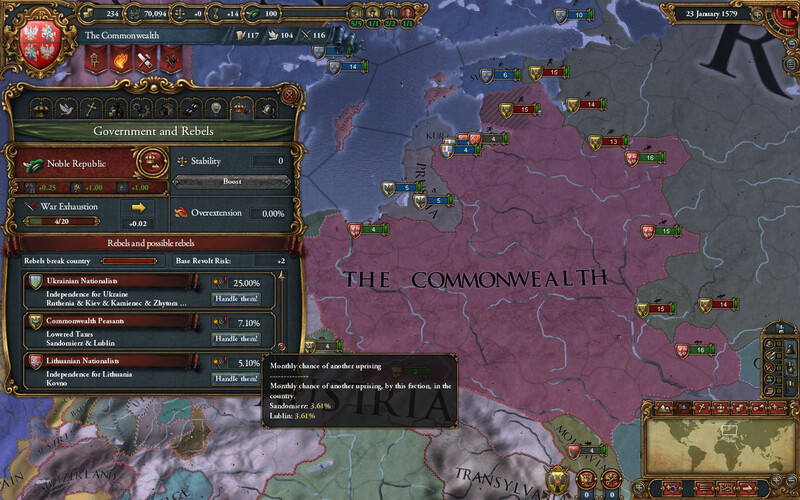 Likewise Paradox used to be somewhat notorious for releasing 'patch-like' expansions that were little more than bug fixes and feature polish, but their new DLC concept that they've carried out with CK2 has likewise impressed us all. And before you ask, all features in the DLC in CK2 were/are included for free in patches for the use of AI and all players in multiplayer matches - thereby ensuring that DLC expansions don't force you to buy them to get a stable finished game (but buy them anyways cause they're pretty drat good). 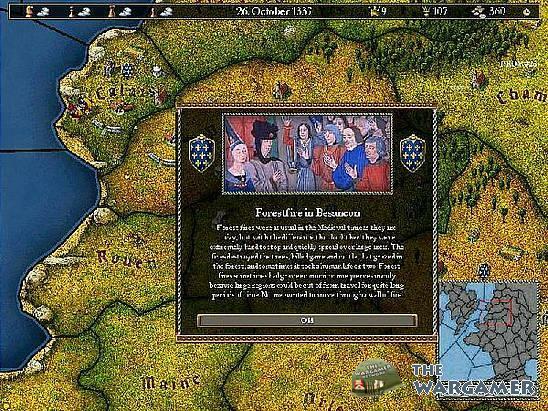 For games predating Crusader Kings 2 though, the legacy of the Paradox Interaction of old holds firm and it is always a good idea to have the latest patch/expansion, and I will not bother to cover each expansion for those games separately. 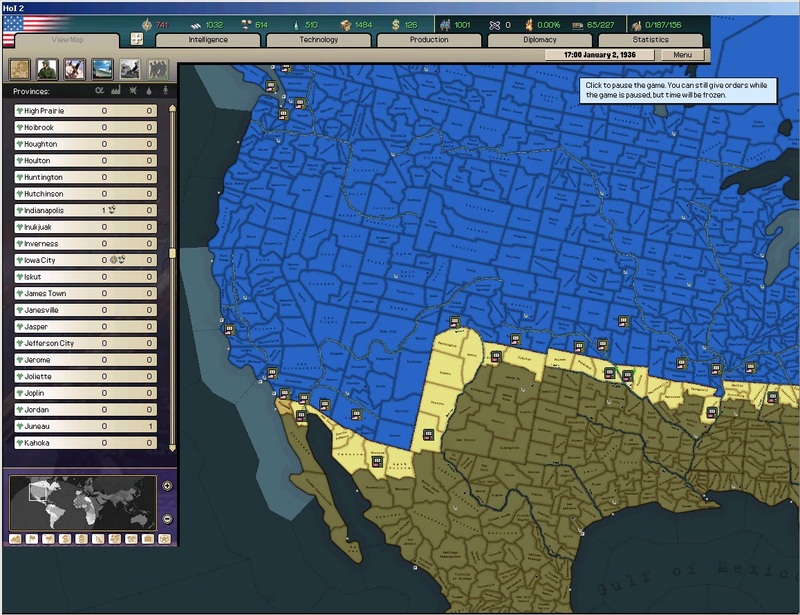 Despite all their flaws, in the historical grand strategy genre Paradox has no serious competitor, and most of their releases, no matter the age, are deep and engrossing games with a vibrant modding scene and a (sometimes rabidly) devoted fanbase. 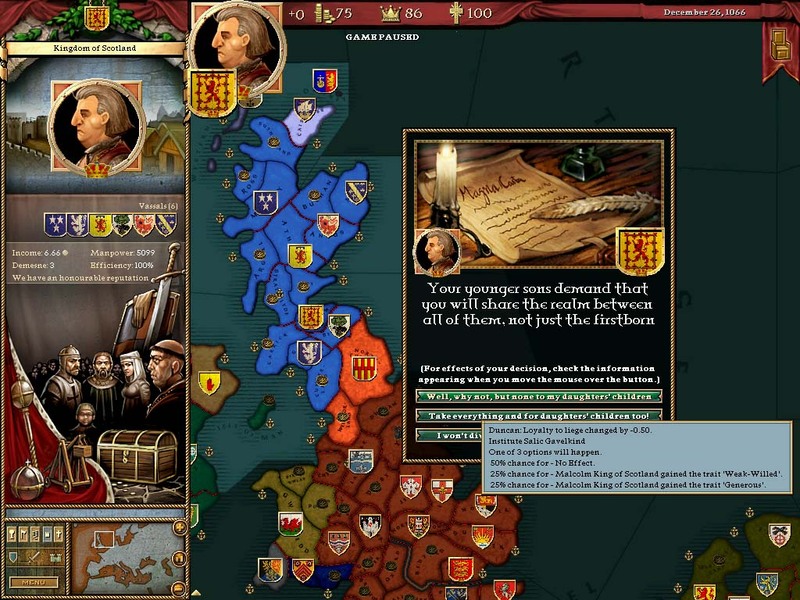 Paradox games are largely only available through digital distribution, with the recommended retail outlets being GamersGate and Steam. It's worth noting that for Pre-CK2 games Paradox has a fairly poor track record when it comes to Steam support, and many of their titles can't be played multiplayer on Steam unless you are playing with other Steam users. GamersGate is therefore probably still the superior option if you're getting an older Paradox game. 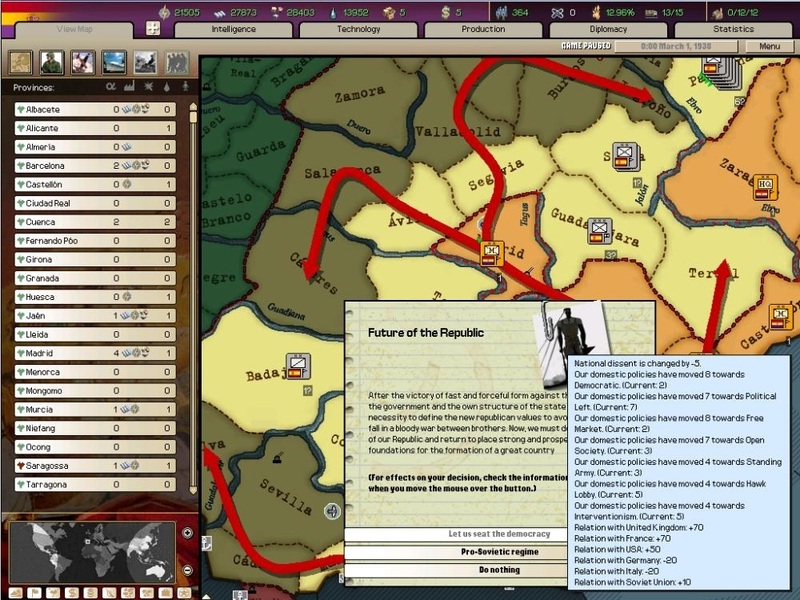 If you are new to Paradox games, it is strongly recommended that you visit Paradoxian and look at the wikis of the games you are interested in. 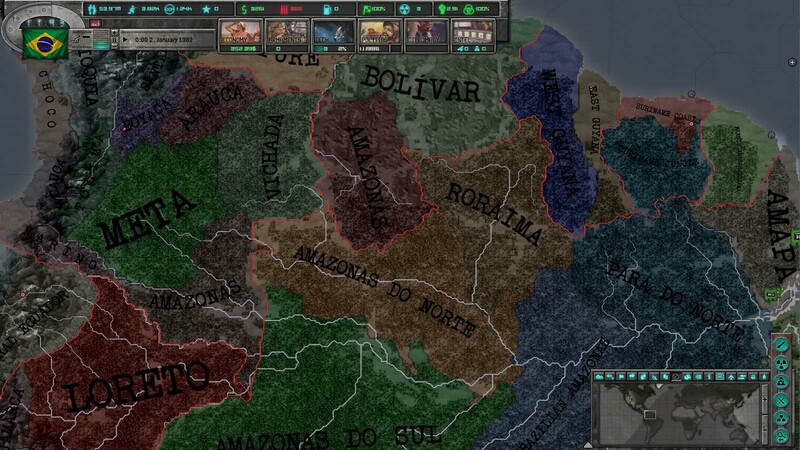 Because Paradox games are extremely complex and frequently lack decent tutorials, these wikis are full of helpful tips and information you might otherwise overlook. 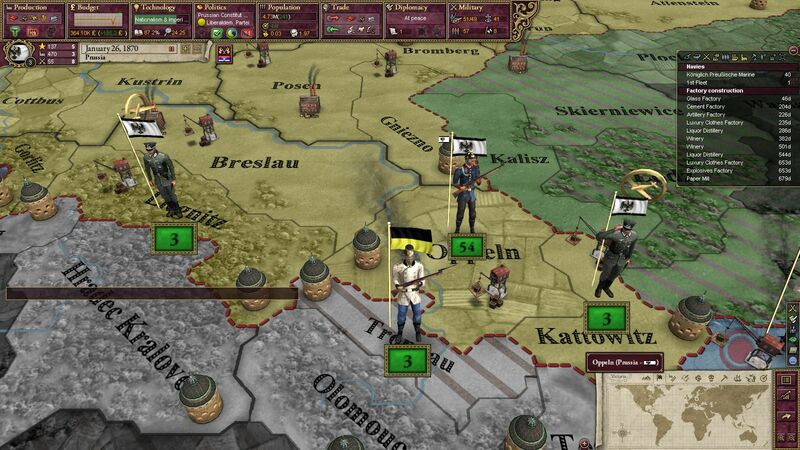 Clausewitz 2.0 is Paradox's current 3D engine. 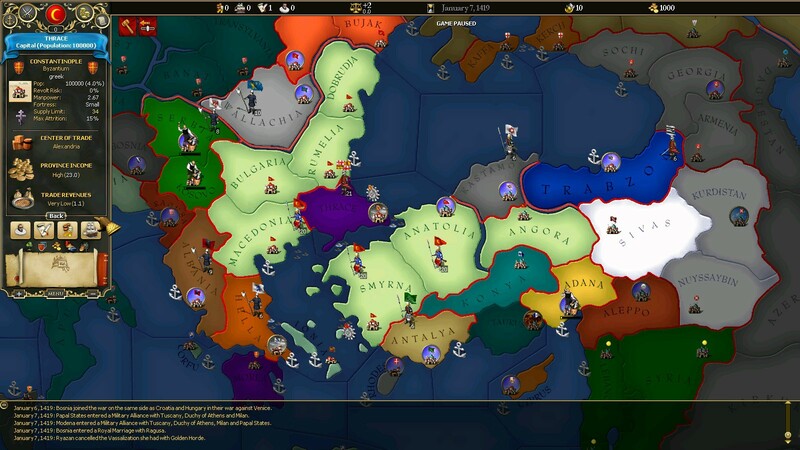 Its first glorified tech demo was Sengoku and its first real game was Crusader King 2, and it has been improved on for each game since - to the point where it is a fairly solid engine capable of producing if not stunning, then at least graphically pleasing games. 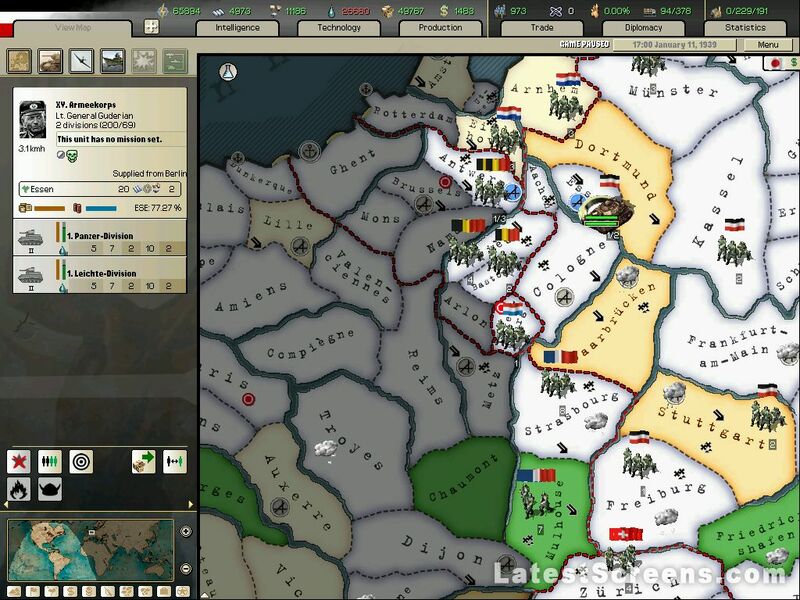 Note: For all Clausewitz Engine (1.0 and 2.0) games it is highly recommended that you download and apply the 2 GB+ Fix to your games' EXE, which will allow your Paradox Games to use more than 2GB of RAM; this will enable them to handle the bigger mods as well as solve any 'disappearing windows' bugs that you may occur in longer game sessions. Under Construction:EU4 is Paradox's sequel to their flagship game EU3 and looks to cover roughly the same ground, bridging the gaps between CK2 and Ricky/V2. It looks to feature full fledged trade routes that can actually be developed and maintained, visible on-map weather systems, historical events that are far more dynamic than anything they've ever done before, government ministers who you can be sent to one province at a time to carry out important tasks such as religious conversion, unique national ideas, and a new system whereby one spends 'points' to raise stability or create a core. Expect perfection. 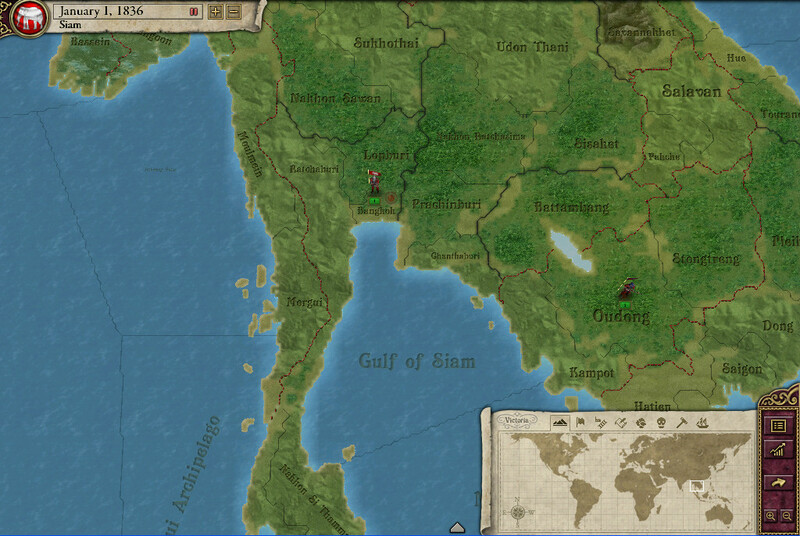 Conquest of Paradise - Natives now move around and can do things, a randomized new world is an option at early bookmarks, and colonies now act like vassals and can fight for independence at a later date. Under Construction:Originally slated to be developed for Paradox by AGEOD, this Napoleonic War game covers the years 1805 – 1820 and seems to be Paradox's attempt to bridge the gap between the EU and HOI2 games. The object of the game is to become the premier Europe's dominant Land or Naval Power, with minor countries attempting to hitch their wagons onto the Major Powers to share in their victory. 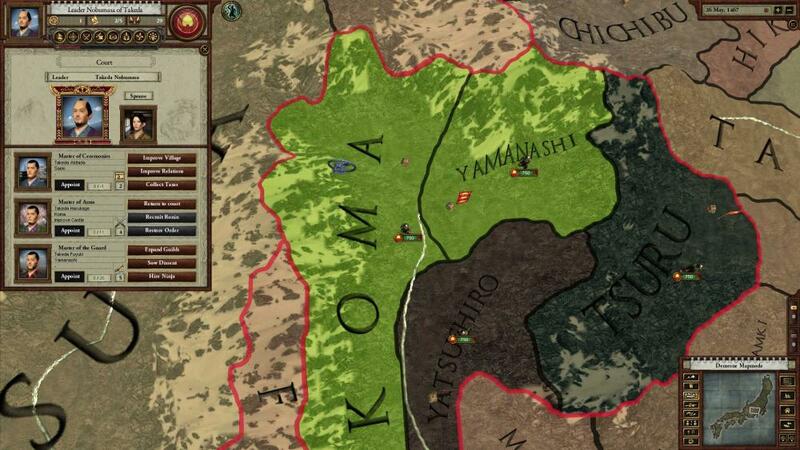 Featuring new troops types, new victory conditions, and gameplay that looks a hell of a lot like 'Sengoku meets EU4', there are many who are already gearing up to write MotE off as a cash-in/beta-test for EU4. 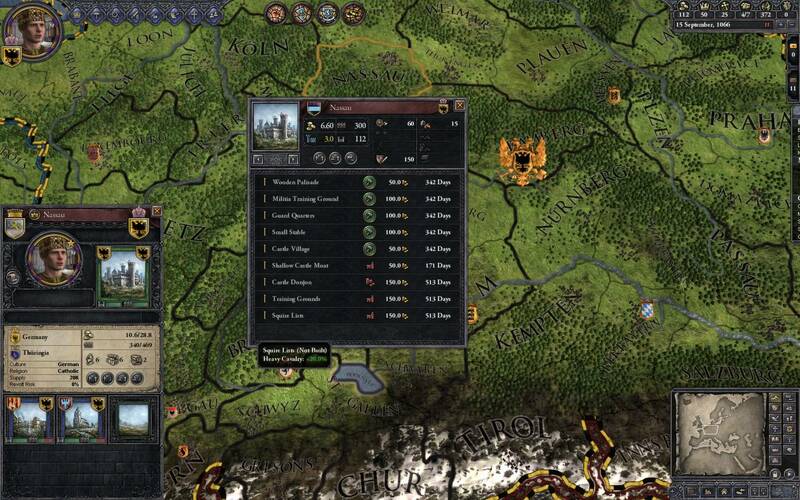 Paradox's newest release and their mostly successful big attempt to become a serious development studio, Crusader Kings 2 was released on February 14th 2012 to the general acclaim of Paradox fans. 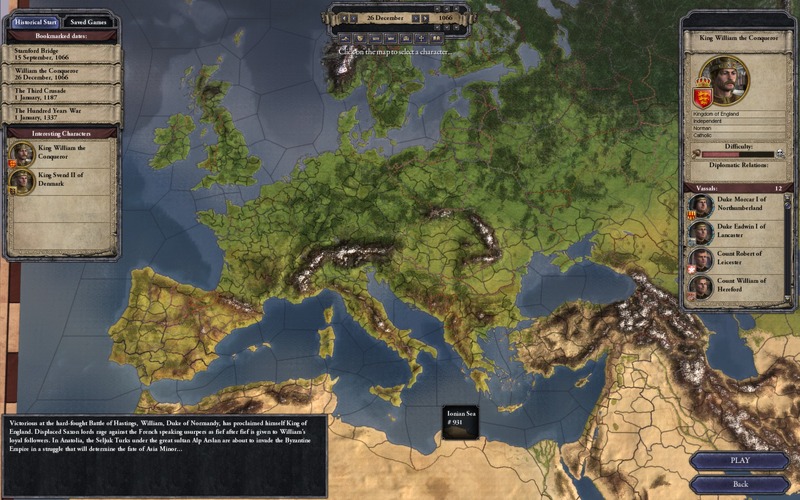 CK2 covers the years 1066-1453, and differs from other Paradox games in that instead of playing a nation, you play as a dynasty, picking one of the many Kings, Dukes or Counts of Medieval Europe to play as. 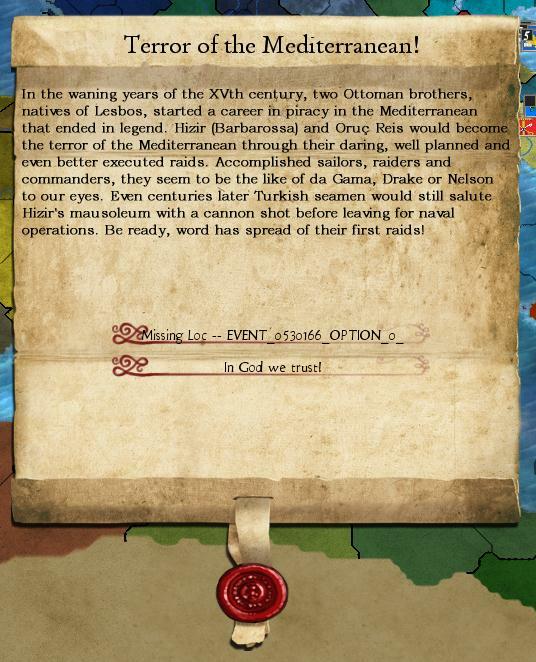 In addition the game has DLC either released or in the works allowing you to play as Muslim powers such as the Caliphates and Electoral Merchant Republics. 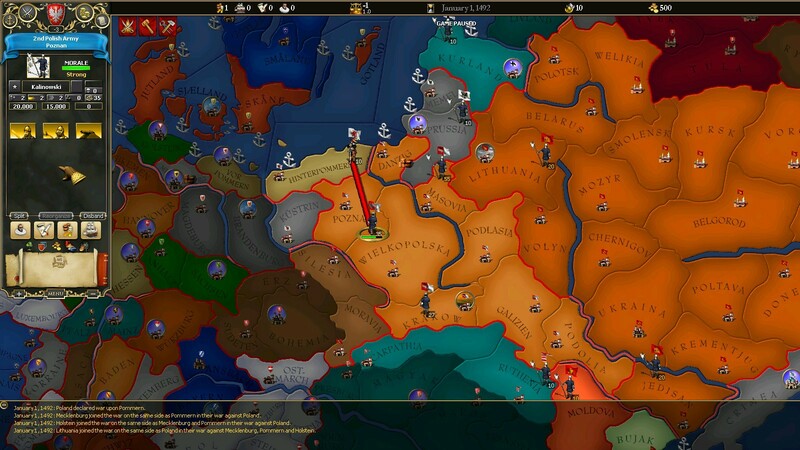 Gameplay for everyone but the Republics consists of guiding your dynasty through the medieval ages, gaining titles and growing your power through war, marriage and intrigue; for Republics your focus is more on gaining popularity back home, building and maintaining trade posts, and getting stinking rich! 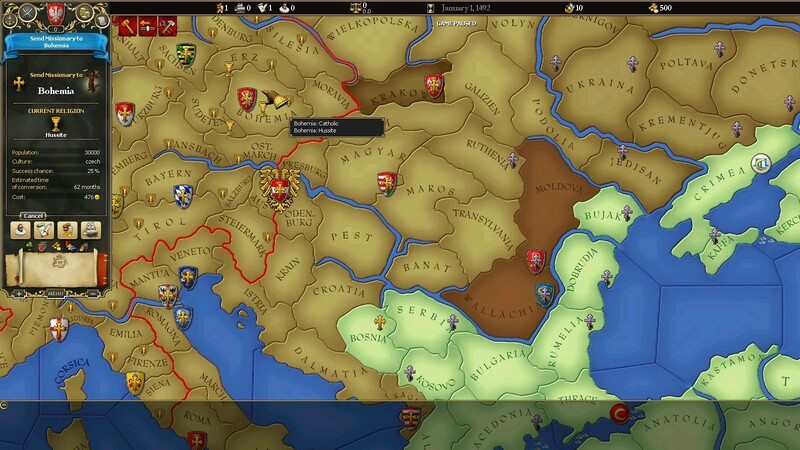 Featuring such novelties as QA testing, a useful tutorial and DLC, CK2 is easily Paradox's smoothest release to date and has gotten a very positive reception among Paradox fans. Suggested Countries For New Players: Brittany, Poland, Normandy, France, or Somewhere in Spain. 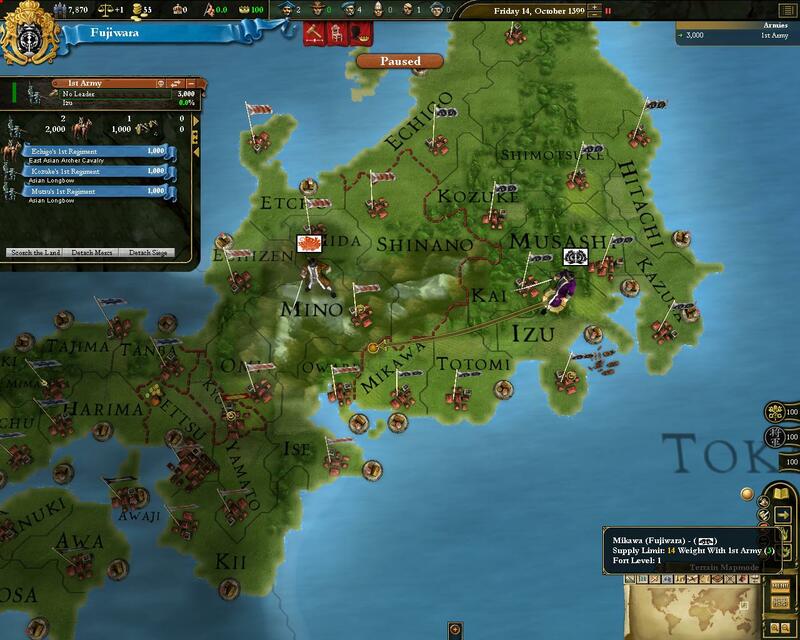 Sengoku is focused entirely on Sengoku-era Japan and covers the years 1467-1620, although it utterly ignores most of the historical events that made the Sengoku-era interesting, nor does it bother to deal with Japan's roles in China or Corea (culminating in the Imjin War). 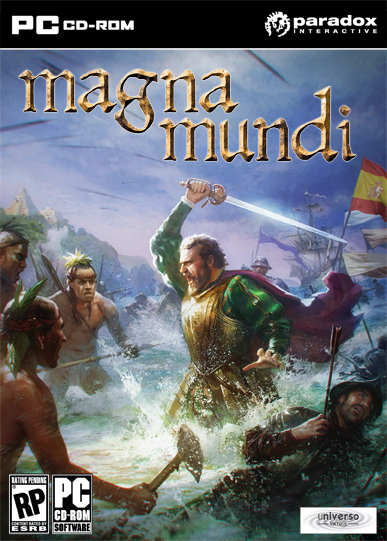 It claims to be a character-driven game developed alongside Crusader Kings 2, using an earlier version of the same engine, but is barebones and feels very much like a beta test/cash-in. 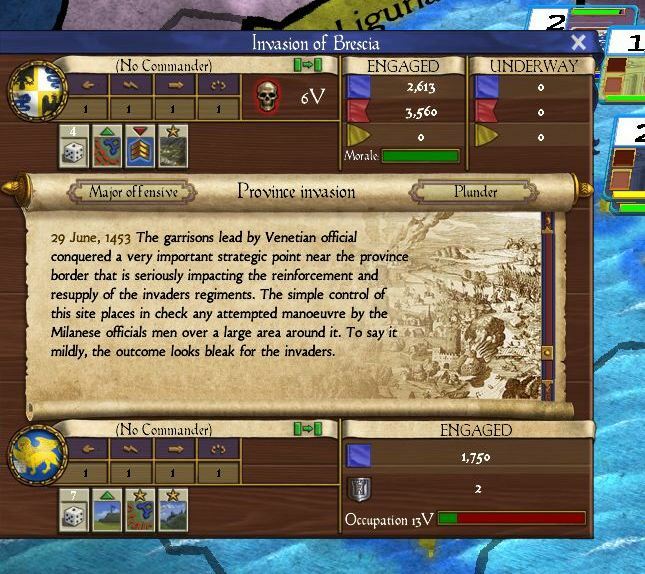 The game is largely devoid of features, events, support, or fans, and there is very little to do except wage war on your neighbors - which you will auto-annex the moment your troops touch their soil. The general consensus is to give it a pass and go play CK2 instead. 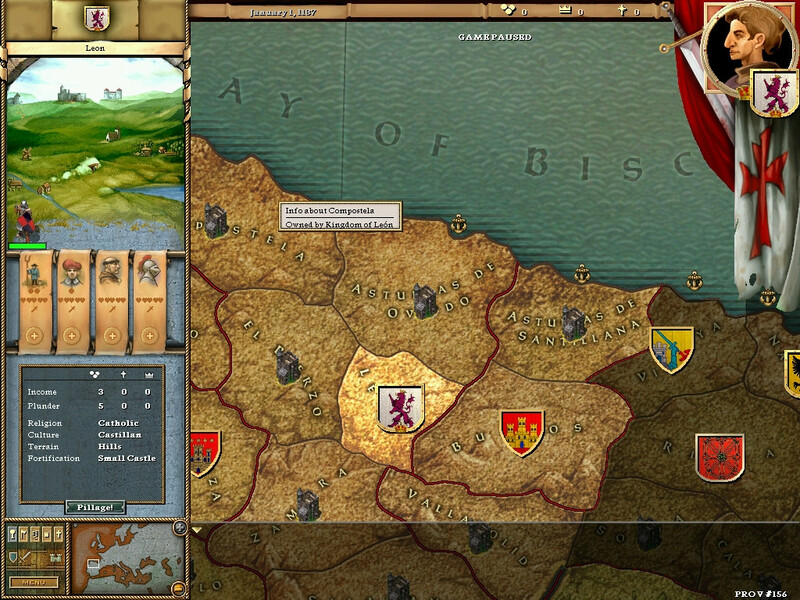 Suggested Countries For New Players: Brittany, Poland, Normandy, France, or Somewhere in Spain... in CK2. Clausewitz 1.0 was Paradox's first 3D engine. 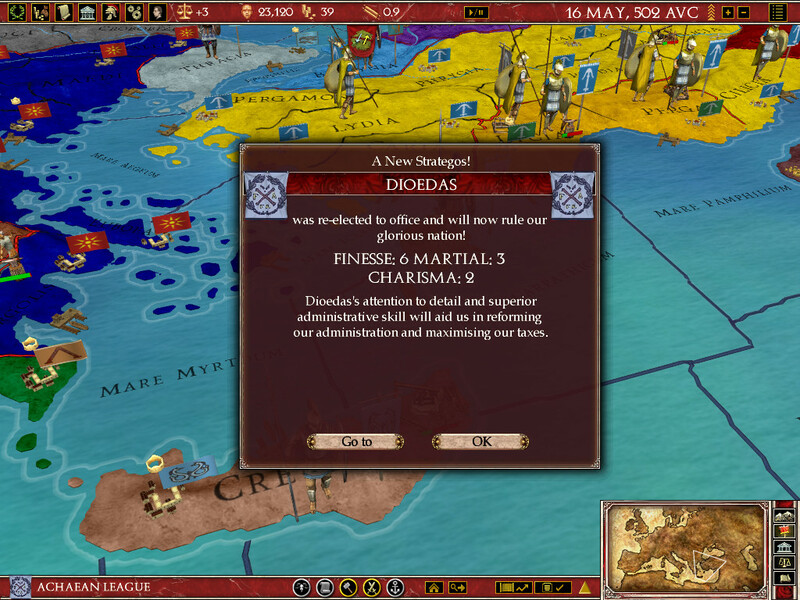 Its first title was Europa Universalis 3, and was improved on each game until it reached such heights as to necessitate its elevation to 2.0. 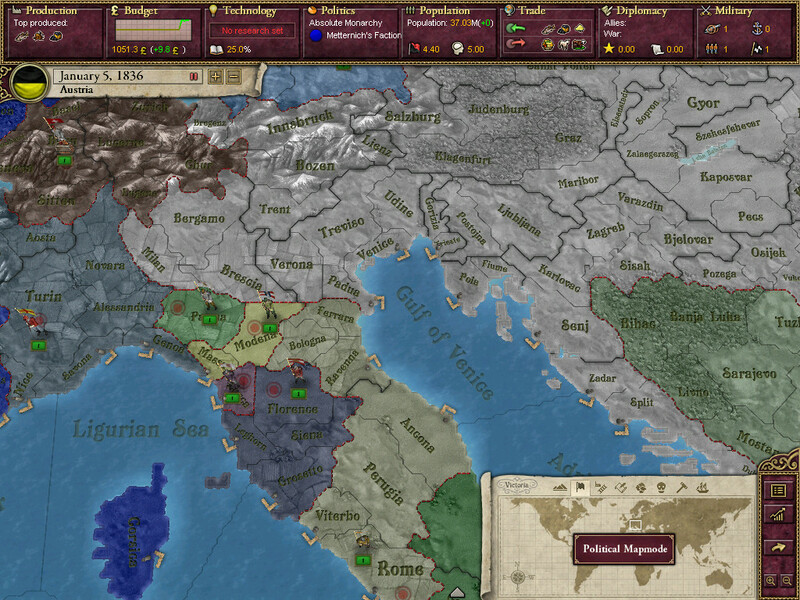 Europa Universalis 3 is generally regarded to be the best Clausewitz 1.0 game, with Victoria 2 being a mix of good and bad, Hearts of Iron 3 being lambasted as either the worst 1.0 game or just a misunderstood flaws masterpiece, and Rome being popularly declared the weakest of the bunch. BUY EU3 CHRONICLES, NOT COMPLETE Complete is not actually complete. Paradox wasn't very good at this whole branding thing back then. Paradox's old flagship title, EU3 lets you play as any nation in the world between 1399 and 1820. 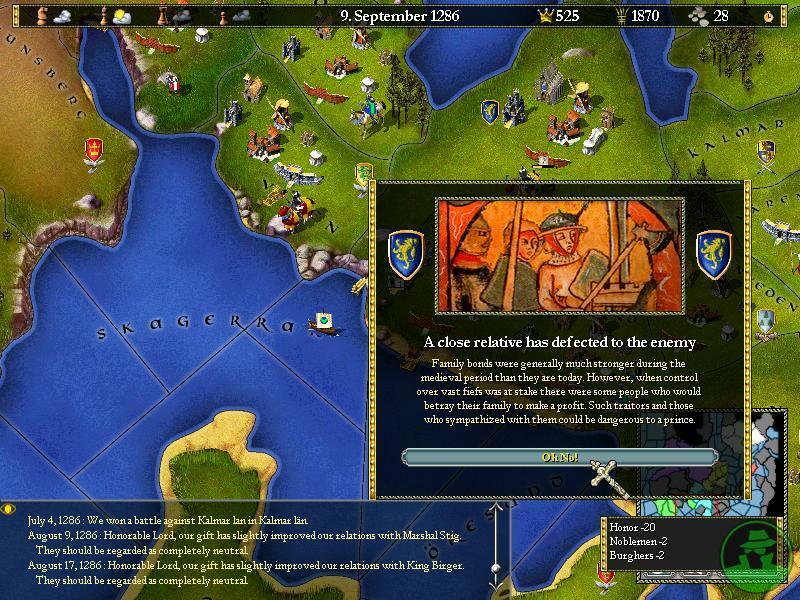 Gameplay is focused around diplomacy, warfare and colonization and covers such events as the Renaissance, the Reformation and the discovery of the New World. 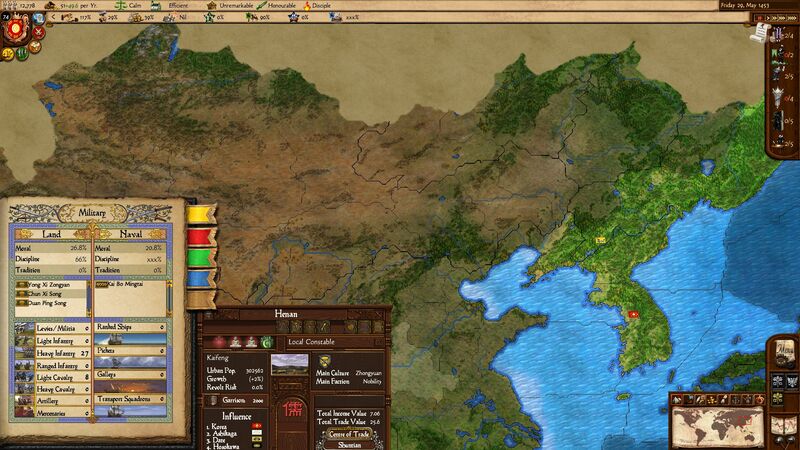 The expansions update the graphics and add massive amounts of polish and content onto what was already a solid game. 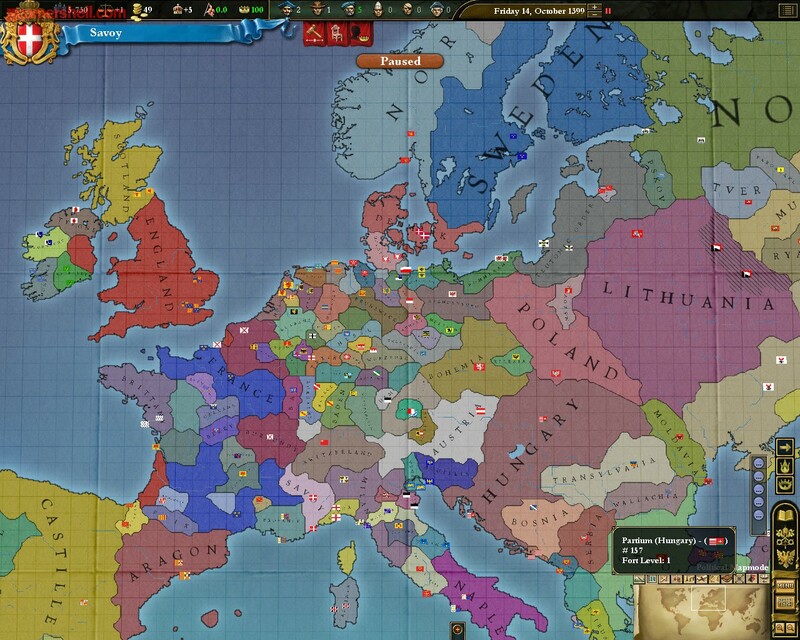 The consensus on EU3 is that it is Paradox's most stable and polished 1.0 title, and one of the easiest Paradox games to get into thanks to the relatively simple UI and gameplay. Generally the first title recommended if you are new to Paradox games. 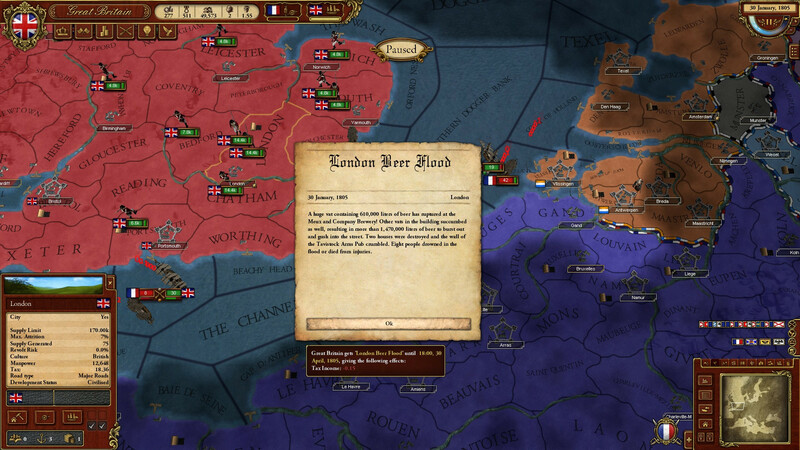 Suggested Countries For New Players: France, Castile, or England (if you give up all holdings in France as soon as possible). As the name suggests, Rome is focused around antiquity and covers the years 474-730 AVC (280-24BC). 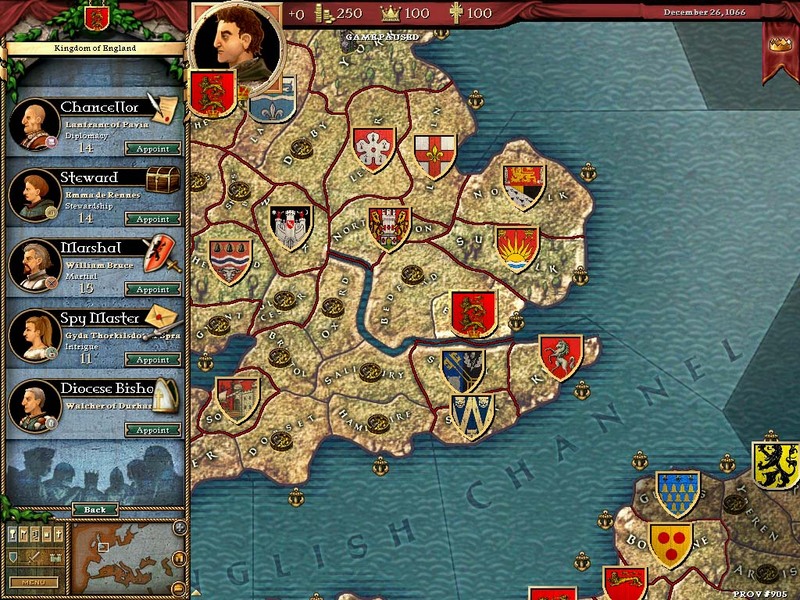 The game is a blend of EU3's nation-based and Crusader Kings' character-based gameplay, but unfortunately falls rather short of both the other titles. 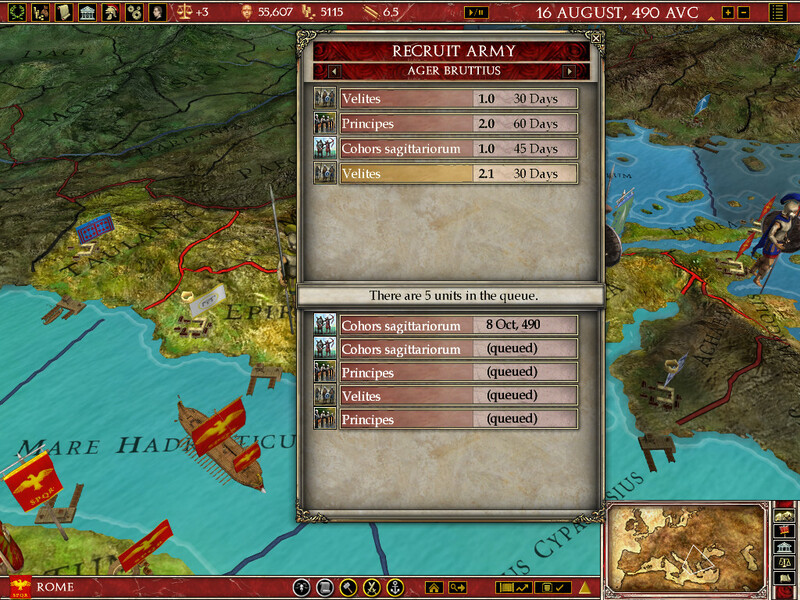 The black sheep of the Clausewitz era, Rome is repetitive, buggy and unpolished, and hasn't received a major update in years. 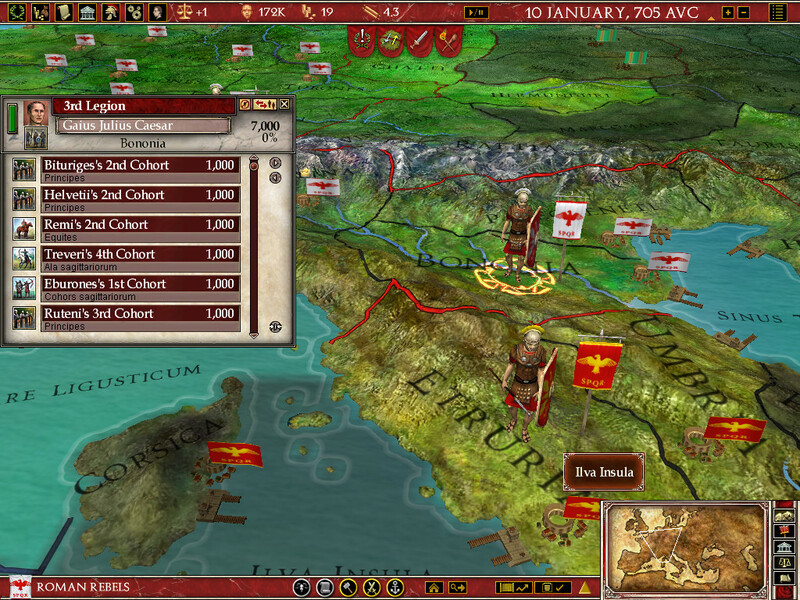 The Vae Victis expansion did some to alleviate its problems, and it can be playable and even fun with mods (mainly Wiz's), but nonetheless it remains a bargain bin game. In addition, as of this writing the game has been made so unstable by the latest patches that it is not playable. Suggested Countries For New Players: Rome or Macedonia. 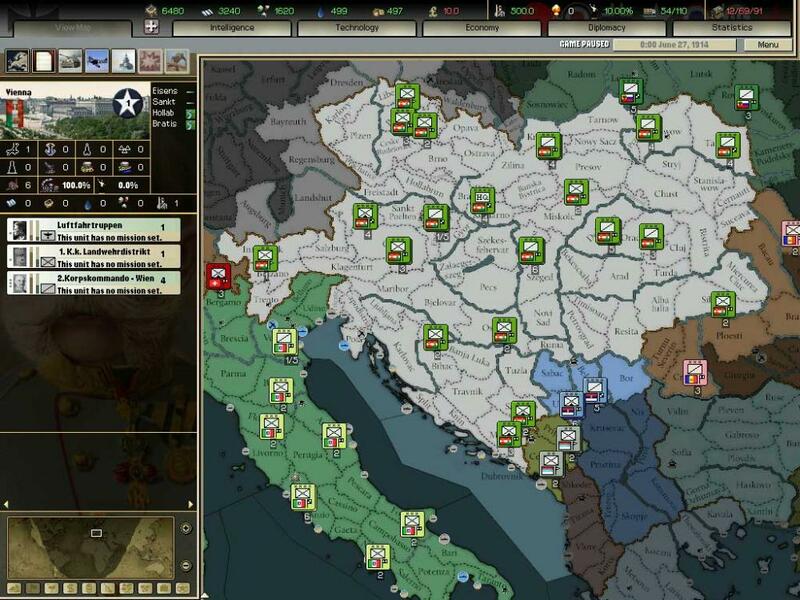 Arguably one of Paradox's most ambitious undertaking to date, HOI3 is a World War 2 game featuring an enormous map with 10,000 provinces, realistic weather and supply systems, warfare theatre management and optional AI control of your armies and production. 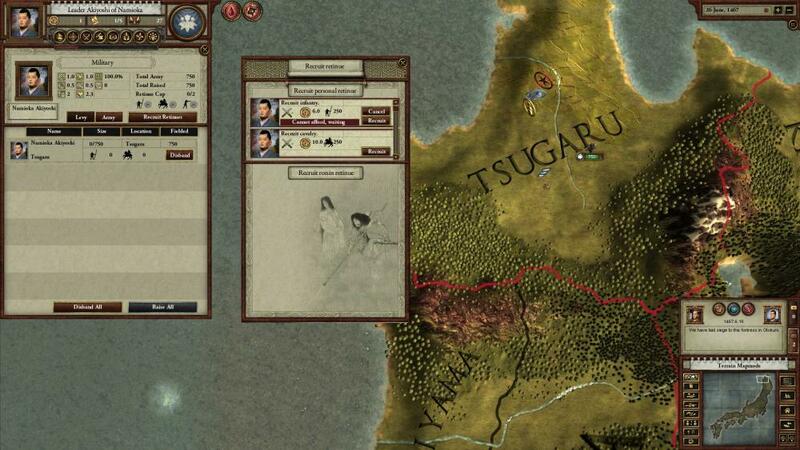 Unfortunately it lacked a development cycle to match its ambitions, and was virtually unplayable on release. 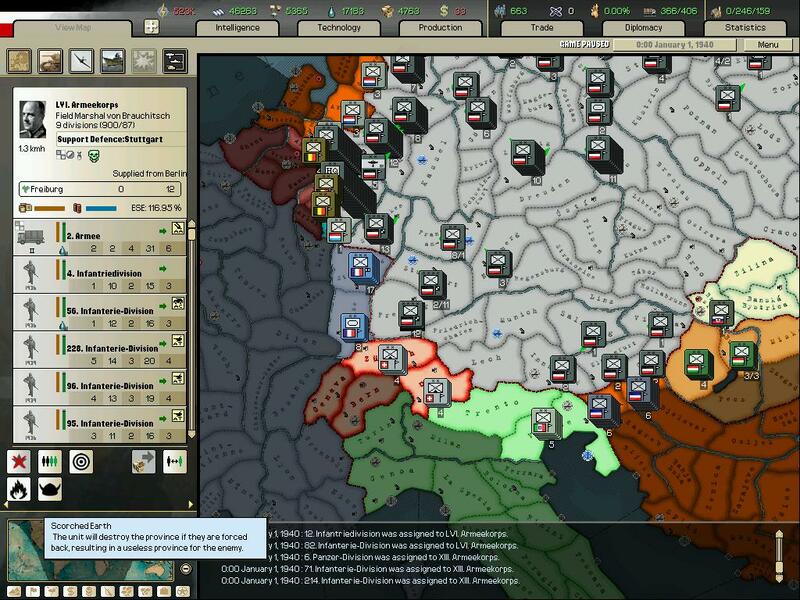 Expansions and patches have greatly improved on the game, but it remains a controversial title and many people still feel that HOI3 is too rigid and unwieldy, with a static political system, overcomplicated warfare system that forces the player to rely on the AI to play the game for them, and generally too ahistorical. Suggested Countries For New Players: Nazi Germany, Italy, or USA. 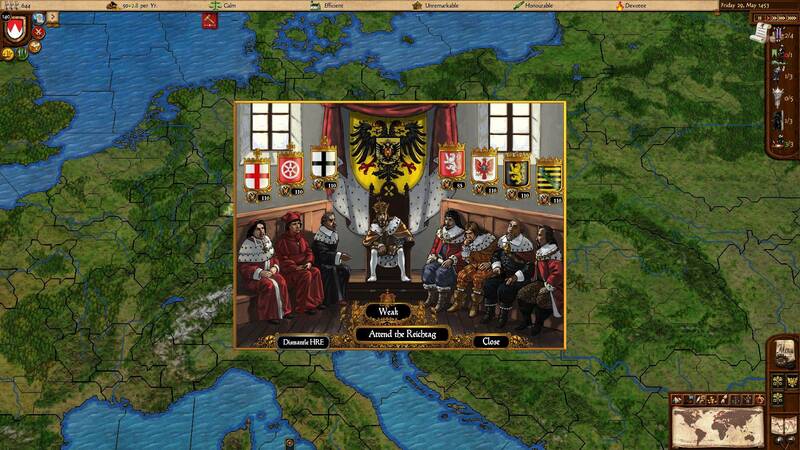 The Europa Engine was the original 2D engine developed by Paradox for Europa Universalis I. 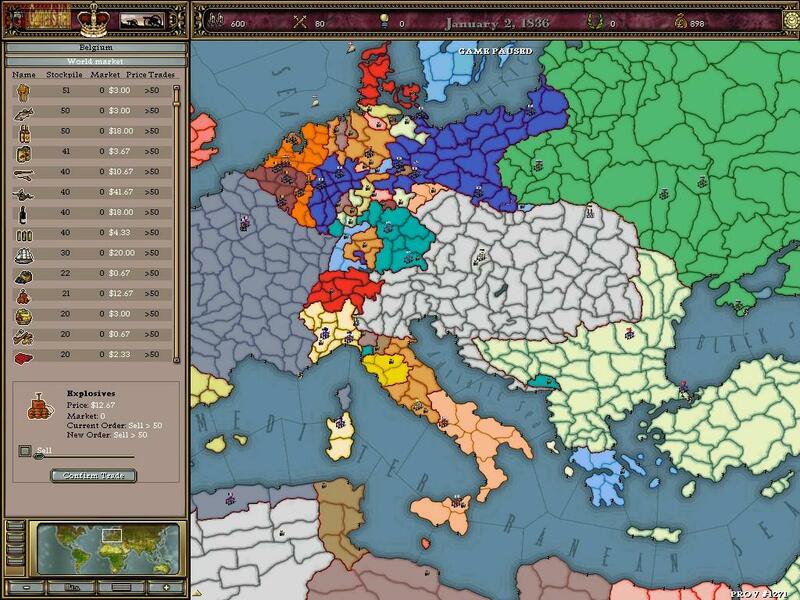 Although Paradox no longer develop any games with this engine, their (discontinued) licensing of it to the modding community resulted in a number of great EU engine games and one really really terrible one. 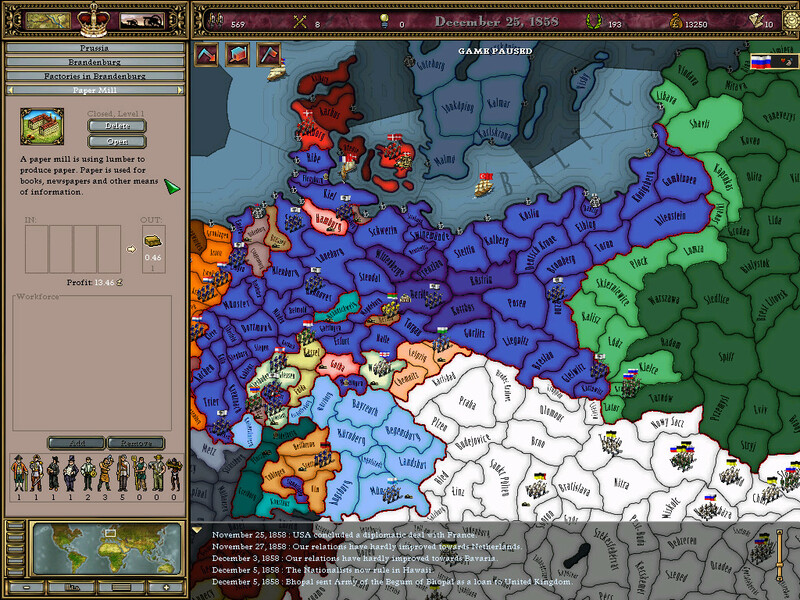 Arsenal of Democracy and Darkest Hour are the strongest of the Europa Engine titles, with For the Glory, Crusader Kings and Victoria being solid but rather dated titles. 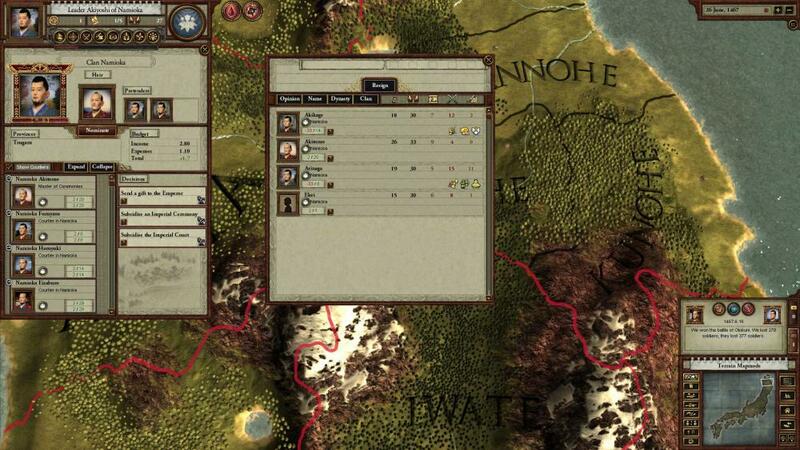 The predecessor of Crusader Kings 2, CK1 is very similar in gameplay but largely falls short of its successor. Even with the Deus Vult expansion, it can be quite buggy and crash-ridden (especially in multiplayer), and has been stuck in beta-patch mode for years. Unless you're very short on cash, there's little to recommend it over CK2. 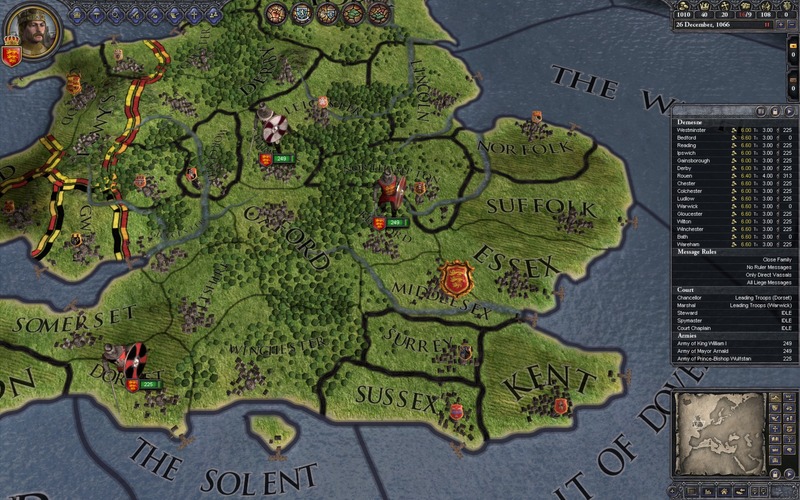 Likewise, if you own CK2, it is doubtful you're ever going to find yourself wanting to load it up and take a trip down memory lane to the glory days of crashtastic simplicity. Suggested Countries For New Players: Poland, France, or England. Like its successor, Victoria is about the victorian age and the industrial revolution. Possibly even more complex than Victoria 2, Victoria 1 is notorious for having an atrocious UI and a learning curve that is less of a curve and more of a wall. 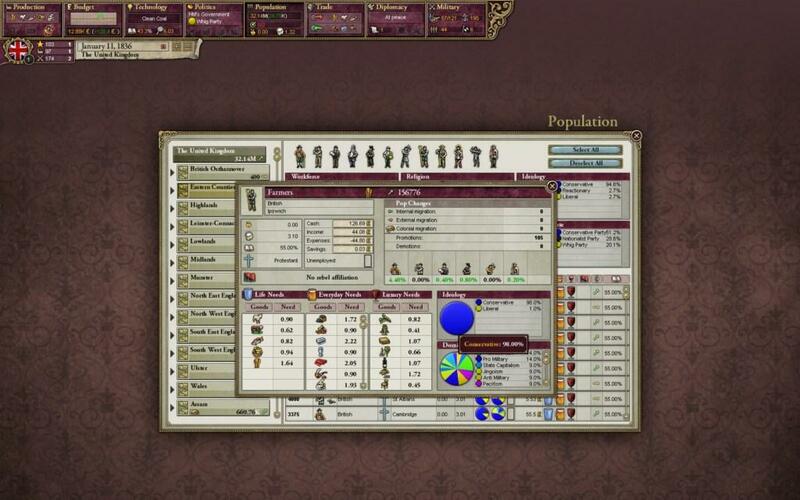 Nonetheless, if you can get past the graphics, the UI and the bugs, Victoria still outshines its successor in many ways, particularly when it comes to the unprecedented level of control it offers over your country and its population - though at the cost of a very micro-heavy game. For those who swear that V2 was a terrible disappointment that ruined their lives, Ricky shines on the living embodiment of what a good Paradox game can have to offer. Suggested Countries For New Players: Belgium, Brazil, Prussia, USA, or Sardinia-Piedmont. 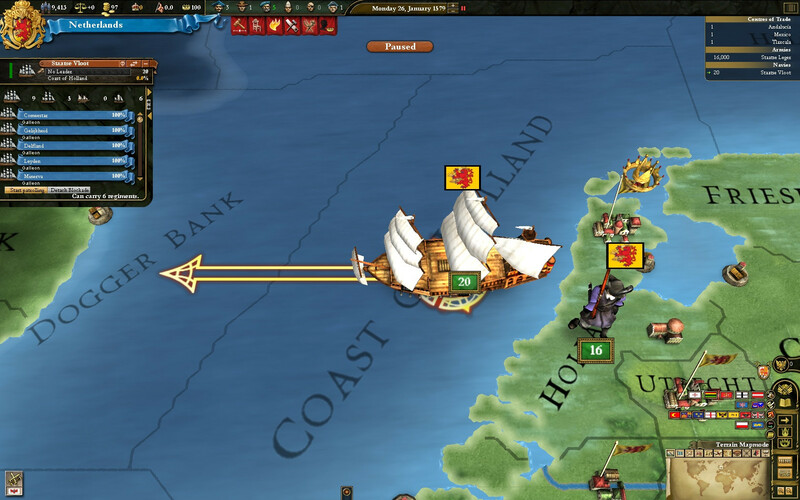 The first product of Paradox's licensing of the Europa engine to its fans, For the Glory is a standalone fan expansion of Europa Universalis II. 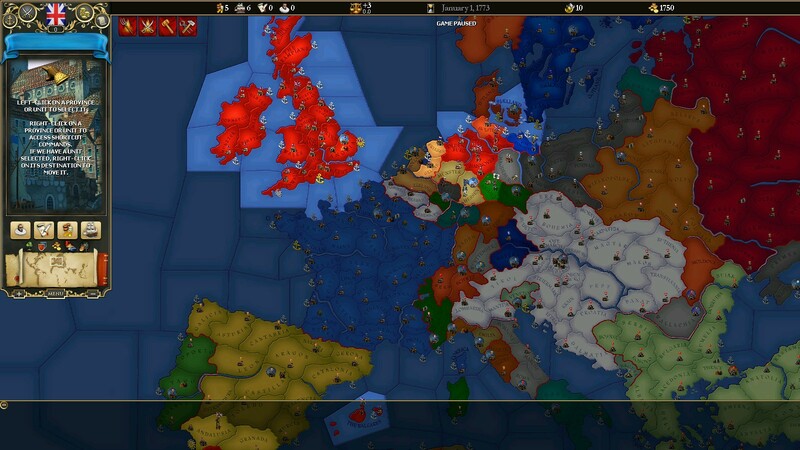 Covering the years 1419-1820, it is superficially similar to Europa Universalis 3 but where EU3 is sandbox, FtG is far more event-driven; how rigid these events can be is largely up to you with option settings on how historical you want things to be, historical event choices only, standard percent chances, or always ahistorical (for example Austria inheriting Hungary and Bohemia in every game, most games, or only if they manage to take them piece by piece like they would any other state). Despite some neat ideas such as increased modifiability, the ability for in game mod switching, and the retention of the more multiplayer friendly and event light vanilla game scenario, FtG sold much poorer than was expected by PI. As a result of this it ceased to be supported officially for a few years, until in 2013 it was very silently announced that a new patch was being worked on that fixes some of its outstanding issues and adds a ton of new mapmodes and UI improvements - and a beta patch can be downloaded from the tech support forum at this very moment. Yep, this game is remarkably still getting support! 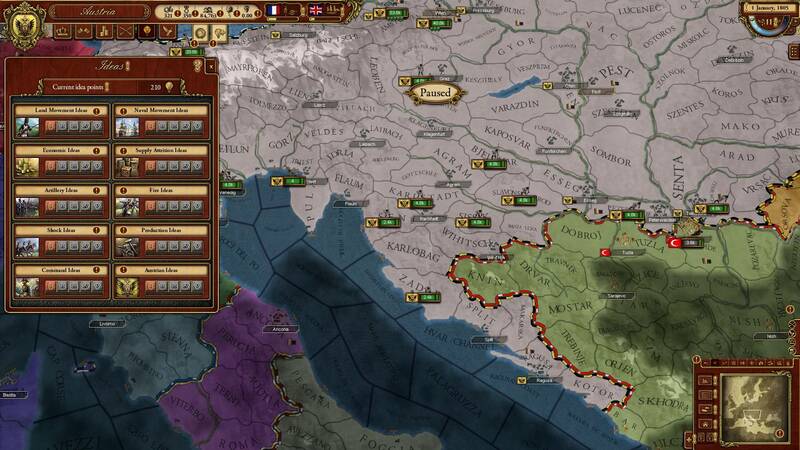 Suggested Countries For New Players: England, Castile, Bohemia, Austria, or France. 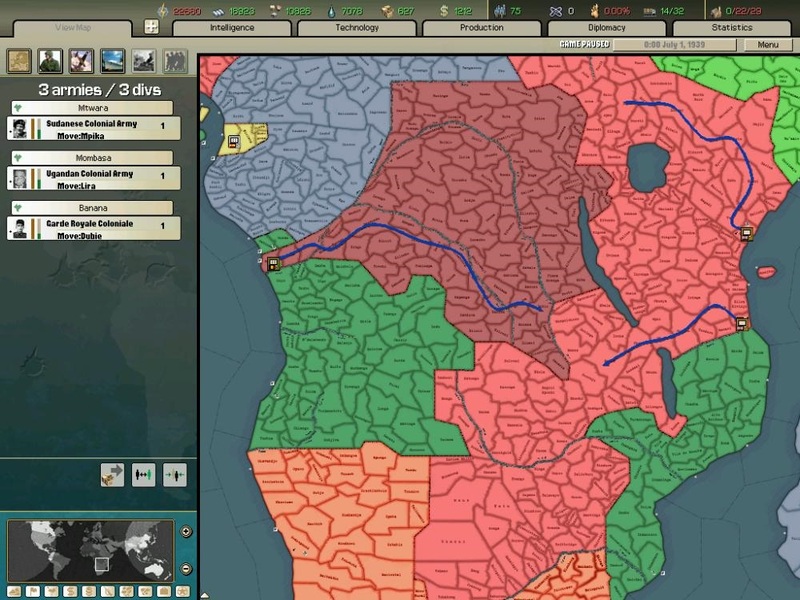 Another product of Paradox's licensing of the Europa Engine, Arsenal of Democracy is a standalone fan expansion of the immensely popular World War 2 game Hearts of Iron 2. 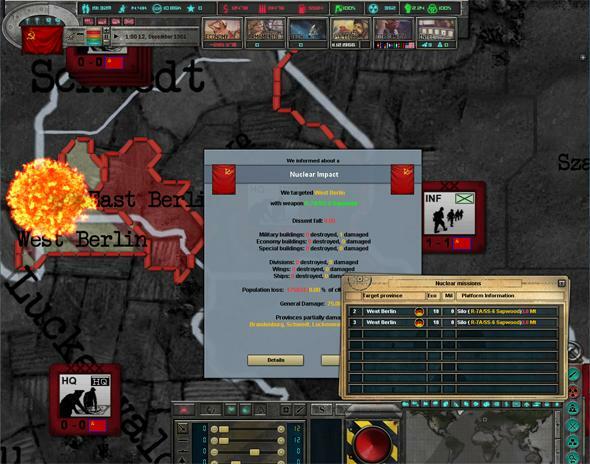 It adds several new scenarios (of which the Cold War 'Battle Scenarios' are notoriously poo poo) and a number of neat gameplay features such as national ideas, improvements to the economy and production, the best economic slider system a HOI2 game has ever seen before or since, an improved intelligence system, and major balancing changes to the game's combat model to allow the AI to actually do well for a change. 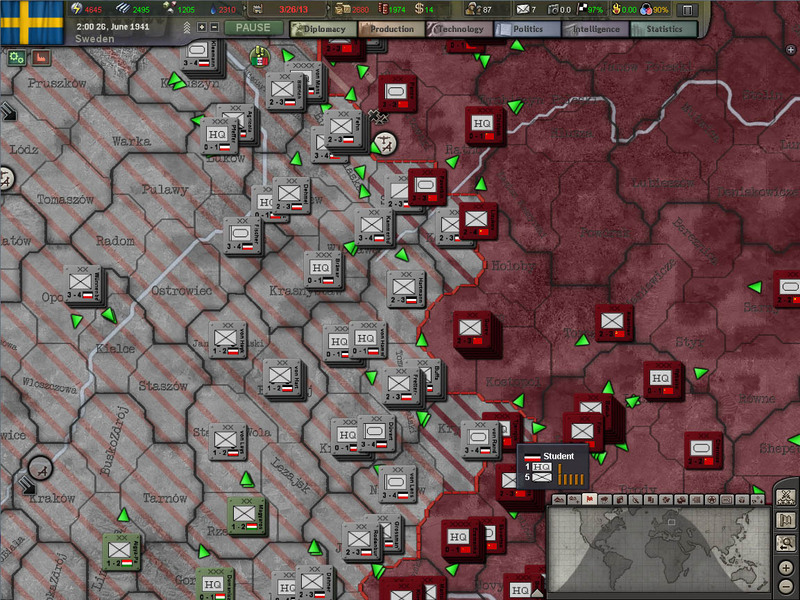 Of the two HOI2 fan projects, AoD more sharply diverts from 'vanilla' HOI2 with its changes to combat and production. Unfortunately many of AoD's changes to production, infrastructure, and 'research team' mechanics have come with the terrible side effect of making Minor Countries perpetually outclassed and terribly unfun. 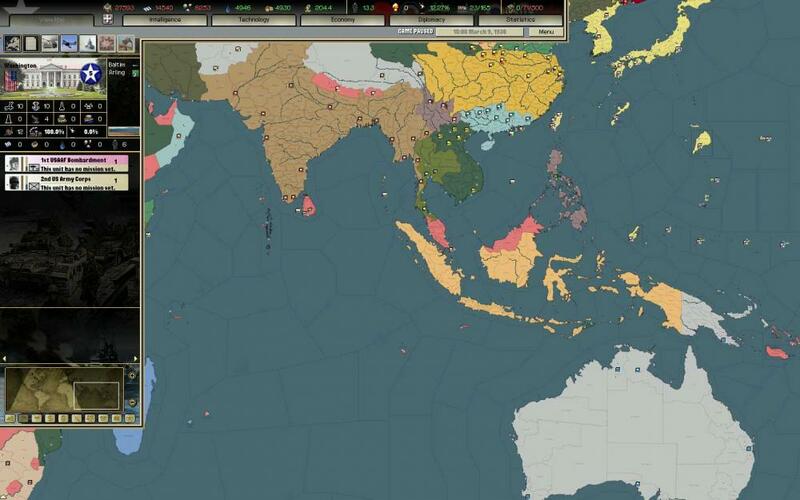 As a result of these flaws, its comparatively scarce level of support, and the lack of the Kaiserreich mod, at the time of this writing it is generally seen as worse than Darkest Hour and it is suggested that new players get that instead. Suggested Countries For New Players: Nazi Germany or Republican Spain. 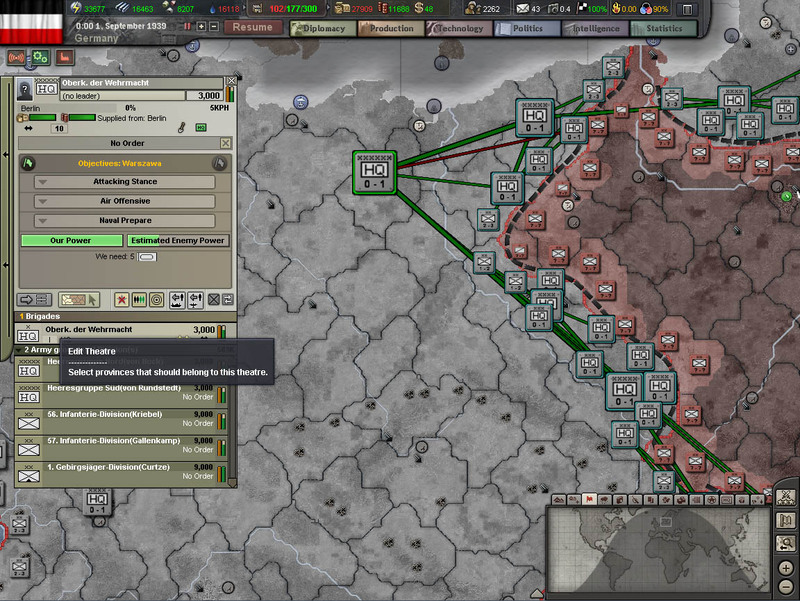 The other worthwhile HOI2 fan project, Darkest Hour sticks closer to its roots, foregoing AoD's major gameplay revamps and focusing instead on streamlining HOI2 while adding new scenarios and gameplay additions. Featuring new scenarios for every year of the war, a beautiful new map, and many minor tweaks and additions such as better AI and Decisions [in addition to the normal events], DH is the ultimate incarnation of vanilla HOI2. 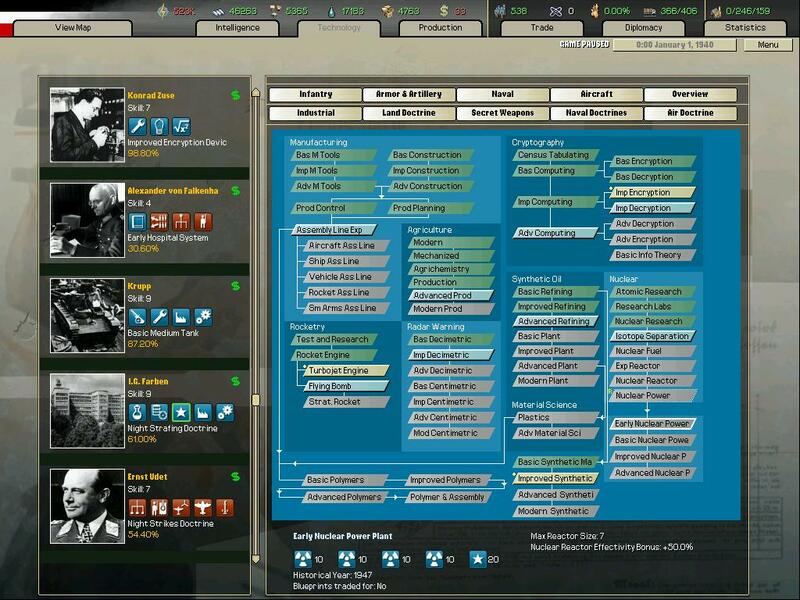 To make things even better DH allows you to play without any of its new features (or map) if you so choose, allowing you to run all your favorite old HOI2 mods and scenarios. When all this is combined with the regular updates and patches DH receives, and the exclusive ability to run the Kaiserreich mod, Darkest Hour is clearly a far better HOI2 choice than AoD in the minds of most fans. 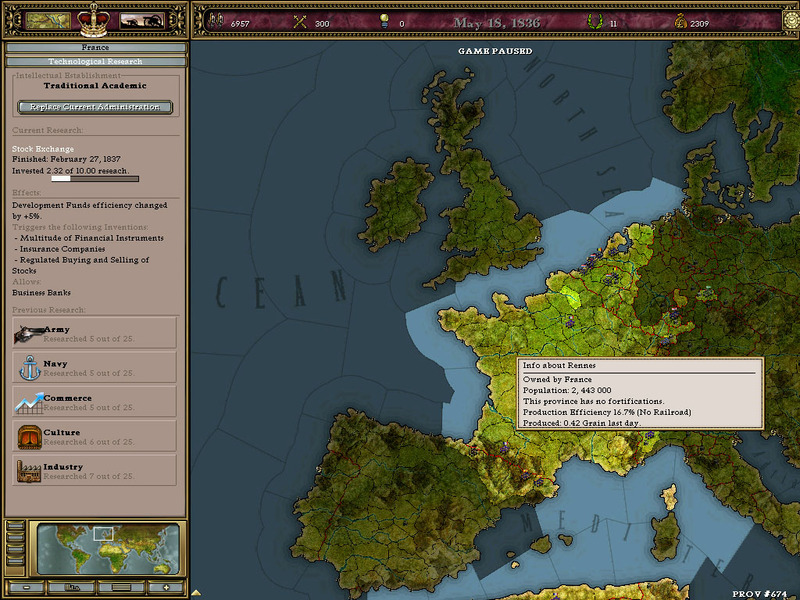 Suggested Countries For New Players: Nazi Germany or Republican Spain in WW2, and Imperial Germany or France in WW1. Before the Paradox we all knew and love there was Paradox Entertainment which put out really simple and cheap 2D games that you can get for cheap as free with BlueCoins on Gamers Gate. 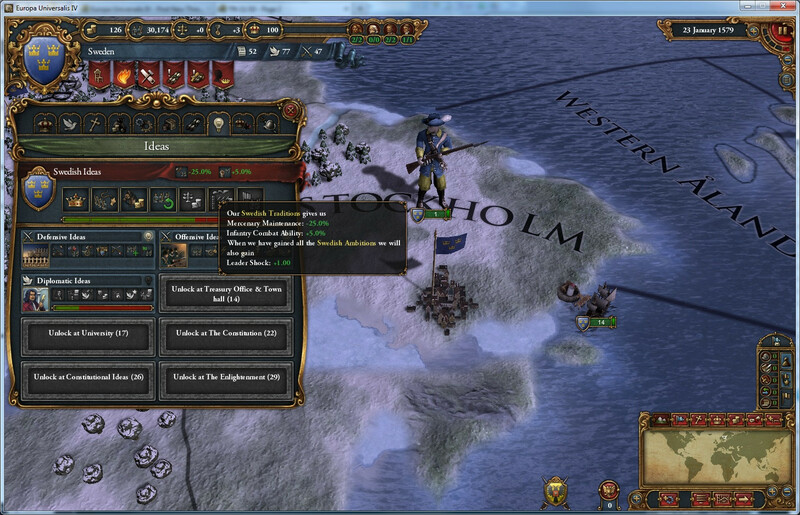 Both are together because Two Thrones seems to have had so much of its code copied from Crown of the North that the victory screen for both is the exact same - congratulating you on unifying Scandinavia (even if you are England and Scandinavia isn't even on the game map). 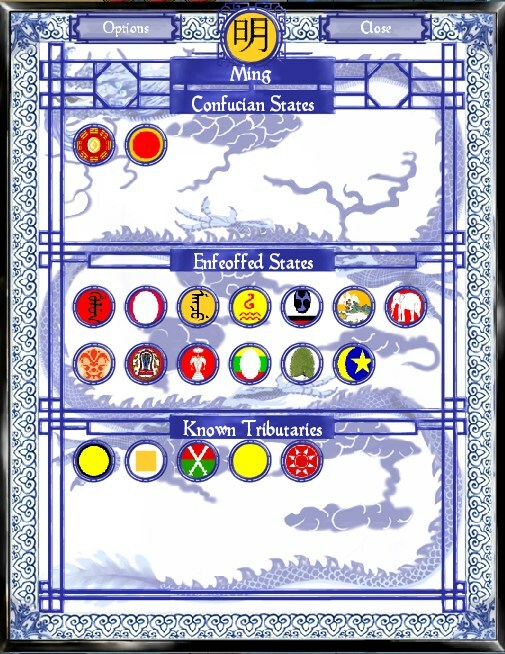 Featuring a faction system whereby different social grouping in your Kingdom can be anywhere from loyal to you and impressed (+3) to pissed and rebellious (-3), instant build armies, and lots of clicking, these mini games surely used to bring smiles to the faces of many in the long long ago that was... 2004?! One of these came out the same year CK1 did? Holy poo poo! Anyways, playing these it's clear that they had a decent influence on several little mechanics of CK1 such as stability and lots of different troops types based on your country's class makeup. Suggested Countries For New Players: Pick someone who isn't surrounded by other countries. So much worse than Iron Cross that it was actually canceled and its Dev run out of town. Featuring intriguing and revolutionary ideas such as that colour theory is worthless, that art and UI design are so easy that anyone could do it, and that the less your players know about and understand what they are doing the better your game is, Manga Mundi: The Game was truly ahead of its time. Luckily, if you aren't too AFRAID of Developer Ubik's glory and brilliance, I think the invitation to fly to his house in Portugal and play a fabled copy of this 'game' in his basement (or as he likes to call it, his 'Carnival of Lust') is still open. 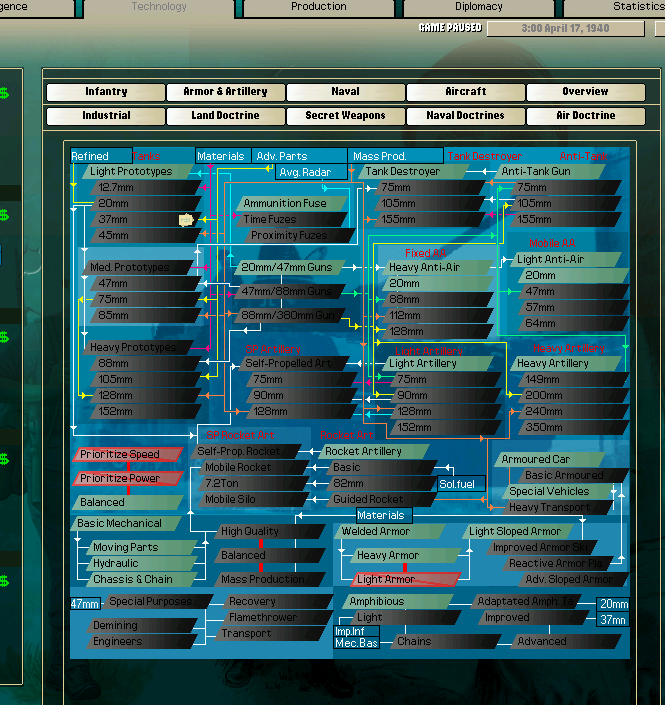 For many months this 'game' and the drama that came out of it was the gift that kept on giving, and we look back fondly on the days when Ubik would threaten to sue Paradox and claim that he was secretly given ownership of the Clausewitz Engine 2.0 in the contract he signed to produce it for them. Suggested Countries For New Players: No one has ever gotten a copy of this fabled 'game' to play, so let's say... Bhutan. http://universo-virtual.com/ THEY SAY THEY WERE GONNA MAKE BOARD GAMES!!! From the makers of AoD and their terrible Cold War scenarios was to come a full fledged terrible game about the Cold War; but sadly after being pushed back several years and then offered up as a possible free open beta, it was not to be. Promising to feature complex modeling of every last missile on carriers while turning the space race into a tab on the tech tree, intricate modeling of populations by age while reducing culture to a handful of vague groups, extensive research into which forum members want to show up as Mary Sue leaders of improbable countries in the game while putting little effort into finding out who was next in line to be the leader of the communist party of the DDR in 1964, no historical generals or admirals because "many of them are still alive as might see their portrayal in the game as against their right to privacy", an entire dev diary on how important the dozens of straits added to the game were, and a pledge that the game "isn't really prepared to deal with the ultra complex world of democratic revolutions, religion and guerrilla terrorism"... this game was always destined to become Magma Mundi: The Game World Stage: The Game 2: Cold War Edition. In short, after this Paradox vowed to never license out their engine to a thrid party ever again and the world's comedy is poorer for it. So much worse than Iron Cross that it was actually canceled and its Dev run out of town. Featuring intriguing and revolutionary ideas such as that colour theory is worthless, that art and UI design are so easy that anyone could do it, and that the less your players know about and understand what they are doing the better your game is, World Stage: The Game was truly ahead of its time. Luckily, if you aren't too AFRAID of Developer Ubik's glory and brilliance, I think the invitation to fly to his house in Portugal and play a fabled copy of this 'game' in his basement (or as he likes to call it, his 'Carnival of Lust') is still open. For many months this 'game' and the drama that came out of it was the gift that kept on giving, and we look back fondly on the days when Ubik would threaten to sue Paradox and claim that he was secretly given ownership of the Jomini Engine 2.0 in the contract he signed to produce it for them. RIP Old Thread, you were too good for this world. I'm glad MM will live on forever more in the title. 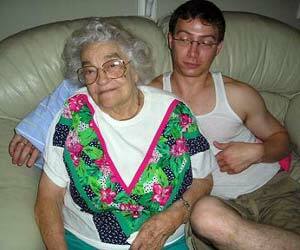 The name Daria was already taken. Will the upcoming list of devs include the fabled Danish samurai? Friends are what make testing worth it. Well now that we got Wiz in there, we should try to get the guy behind Steppe Wolf hired. In the spirit of our interest in history, I will continue a discussion from the last thread. You know, I've been playing Paradox games since EU2 came out, but only been working here since a bit after V2 came out. I learned how to play all our major games as a player, not a developer (I didn't work on CK2 or Sengoku either, although they were released while I worked here). I'm pretty sure no one reprogrammed my brain at any point during the last two years, so I don't feel I have any inherent "devness" in my playstyle. I also don't see how my telling you how I play reveals anything about how other people here play games, we don't have a hivemind, we don't all play the same way. Just to clarify, I'm talking about game developers across the genres I'm familiar with as a whole, not any specific developer on their own. Never call Austrians Germans. To be safe, never call Bavarians Germans either. It helps if you consider that idea of a real united "German" nation wasn't really a thing until like 1800 anyway. The idea of a common "German" realm is old as poo poo though, see the Kingdom of Germany. The newer, nationalist idea of a German identity is in a way contemporary with a lot of other nations. Take the Danish identity for example, which really only manifested itself as separate from the German-speaking population after the Prussians beat our asses and reduced us to a very tiny core of what had been a multi-ethnic empire. (A smaller version of the Habsburg domains basically.) Before that, people hadn't really considered for example the German-speaking population as something truly separate, nor the Norwegian population some decades before. The main reason Austria didn't join the German Empire in 1871 was because it was still Austria-Hungary at the time, and the rest of the German states didn't want a whole bunch of Hungarians within their new borders, while the Austrians didn't want to give up the Hungarian crown. When Austria-Hungary was broken up in 1918, there was widespread support in Austria for joining Germany then, but the Allies weren't having any of that. So like the others have said, in EU3's timeframe, where Austria-Hungary doesn't exist, it makes a lot of sense to have that condition. Pretty sure it wasn't anyones call but the Prussians'. The German Empire of 1871 had the major advantage (to the Junkers) of being Prussian and Protestant dominated, a dominance that would have been challenged had they decided that Austria should have been part of it as well. The German Empire was a conservative Prussian project after all, not a liberal German-nationalist one. 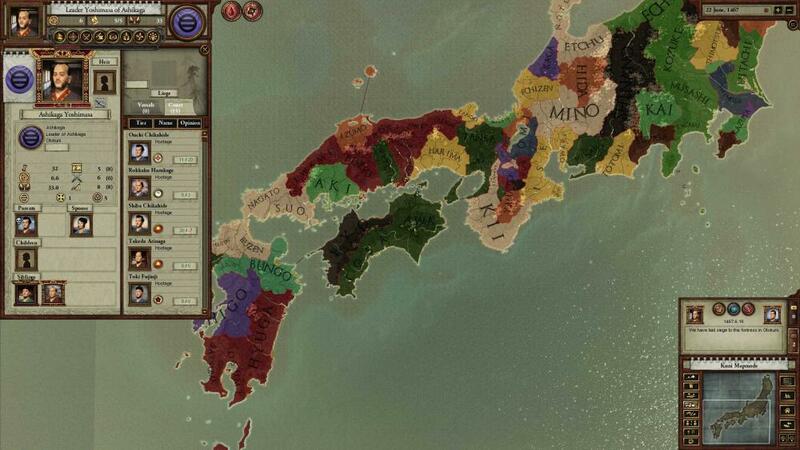 I hadn't seen those East vs. West screenshots before. I like the 'typewriter' style of the country names, it gives off a confidential-Cold-War-document vibe. Besides that, those graphics look really goddamn ugly for a 2013 game. Fortunately, they will almost certainly be revamped by the time the game actually comes out. A new thread for a new year - though the old one certainly had highlights to be missed. Nice work on the OP, too. I only wonder if this thread will even have the opportunity to see the sort of madness that the collapse of MM entailed. NO ONE SPOIL GAME OF THRONES FOR ME! IF SOMEONE TELLS ME THAT OBERYN MARTELL AND THE MOUNTAIN DIE THIS SEASON, I'M GOING TO BE PISSED. BUT NOT HALF AS PISSED AS I'D BE IF SOMEONE WERE TO SPOIL VARYS KILLING A LANISTER!!! Can't wait to play EU IV. We are like half an year away from the release and I'm already pumped for this game! Excellent OP. Unfortunately, I don't know how to bookmark threads in the new forums so I'm posting to mark it, because Paradox games are pretty cool. It's the star thing at top left. A new thread for a new year - though the old one certainly had highlights to be missed. East vs. West and March of the Eagles could go very wrong. East vs. West seems to be HOI3 but bigger so that's basically a recipe for disaster and March of the Eagles could just be another Sengoku. 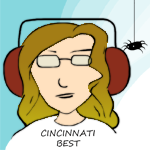 Though they're both missing Ubik and his breakdowns are half the fun. Nice OP, by the way. 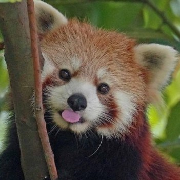 I'm also really excited for news about EU4. I really loved EU2 and EU3, both were good for years of entertainment. The new trade mechanisms sound promising as well. 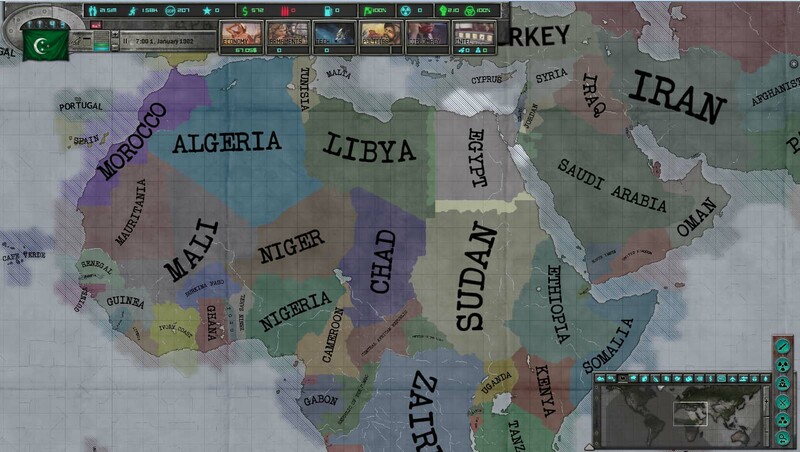 I couldn't agree more, I'm predicting a really early mod (like a week or so after release) to make the map look like the one from HoI3 with the new font because I really wouldn't be able to look at that ugly thing for more than half an hour before quitting. I have always had a bad feeling that East vs. West would be terrible given how AoD's team handled the cold war in their first outing, but I've really wanted to be pleasantly surprised by them. Sadly, looking at the screenshots and reading the DDs has only made it worse. 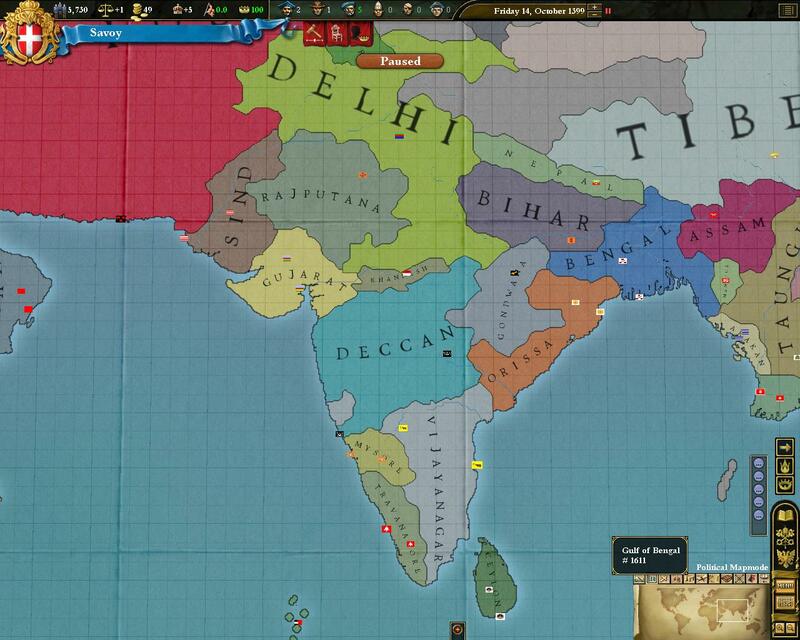 So... basically the complete opposite of EU4, where I have a really good feelings about it and the screenshots and DDs have only made it look/sound better. 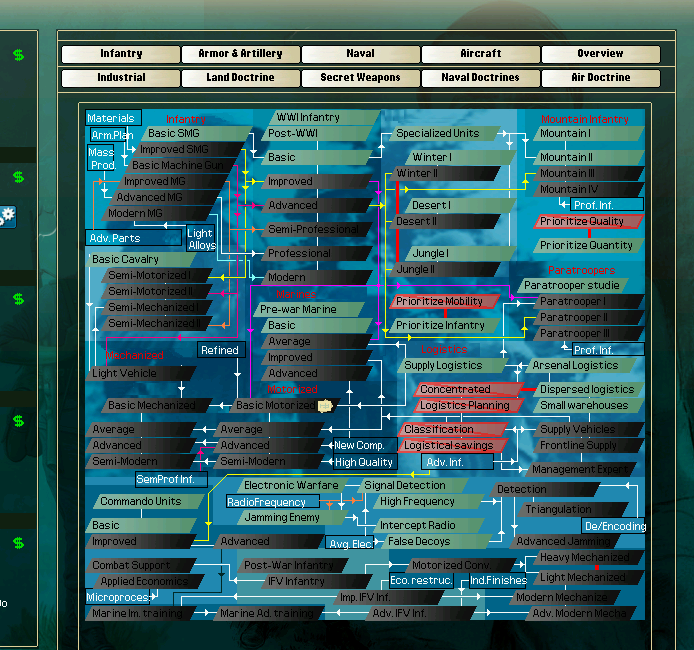 What did they do wrong with the Cold War in AoD? I've posted on this before, but basically their Cold War scenarios were really really bad. 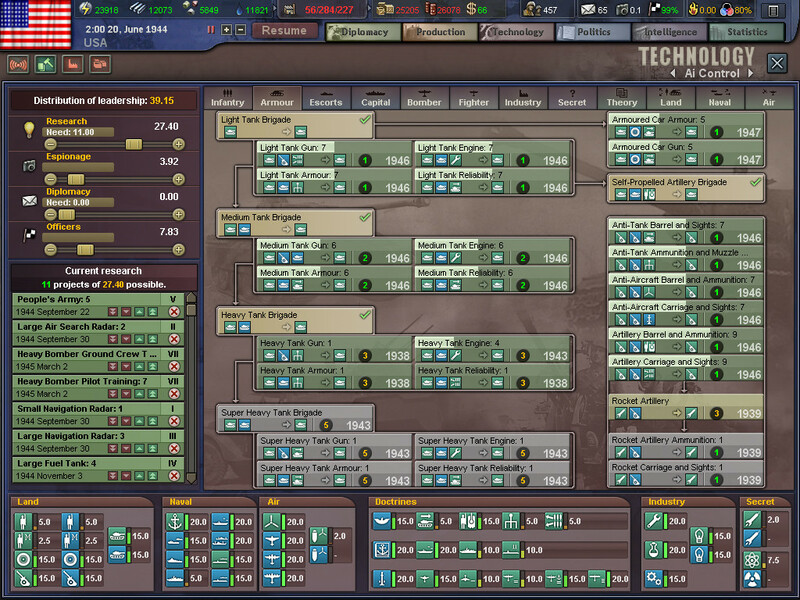 For example their I/P scenario had Fascist and Nazi Arabs fighting with max 10 Org. units against an Israel with 100 org. troops, in a scenario so utterly unbalanced and poorly thought out that the victory screen for both sides was the Israeli one. 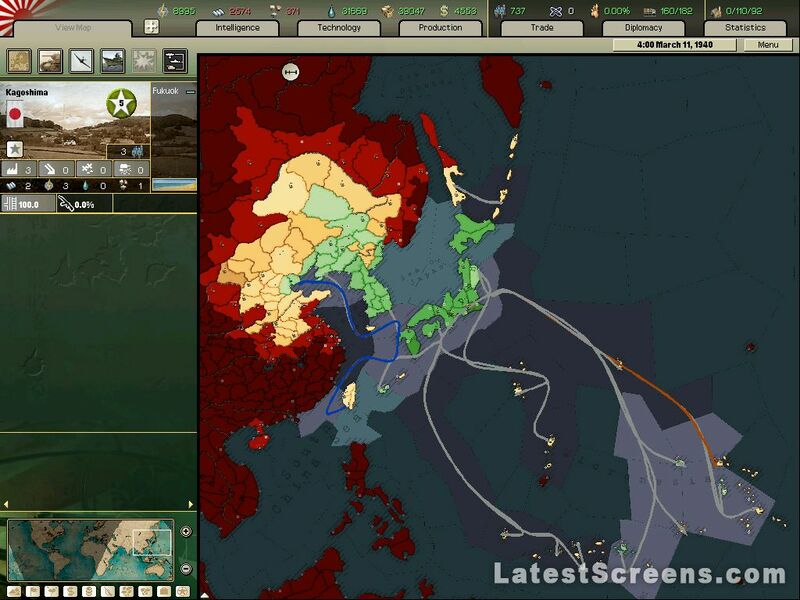 Their India-Pakistan War scenario had similar issues, and their Corean War scenario had the North needing to capture Jeju to win... when only China had a navy (with but one transport). A bunch of us played the 1948 War one as the Arabs - 6 human players, working in total unison, were unable to beat the Israeli super-divisions. Slightly rigged scenario. Huh... I get that they were just bonus scenarios they did for the heck of it but why bother when the scenario is basically impossible to win (didn't you say you needed humans playing each of the Arab nations and doing gamey poo poo)? 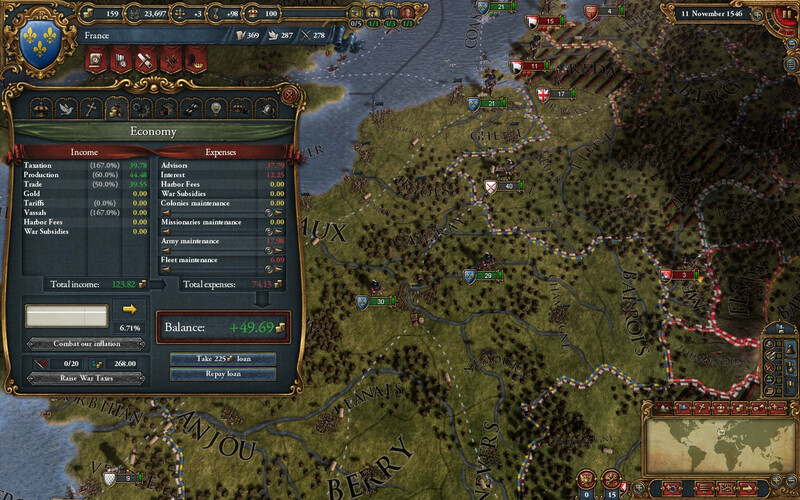 I'm willing to buy that the lack of playtesting was because it was just a small bonus thing that wasn't supposed to be fully playable or something, but I still can't help but feel a bit worried that they didn't learn that part of the fun of Paradox games is you know, altering the course of history. Other E: Also, forgot to mention, great job on the OP! 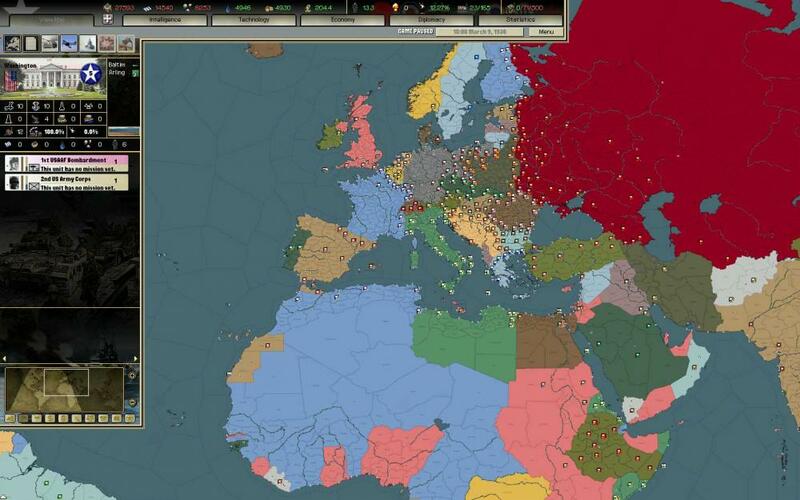 I'm going to hold out hope for East Vs West cause poo poo I want to play a good Cold War grand strategy game. If you want the dev titles to be more correct, Johan is studio manager rather than lead coder, while Podcat is lead coder for the expansion team. Perhaps it'd be worth mentioning in the CK2 section that all versions are Steam compatible except for GG, and that you can't use Steam DLC on the GG version or vice-versa? Right o, just came right after some posts relating to me. I'm starting to find EU3 less appealing these days, which kind of makes me sad. 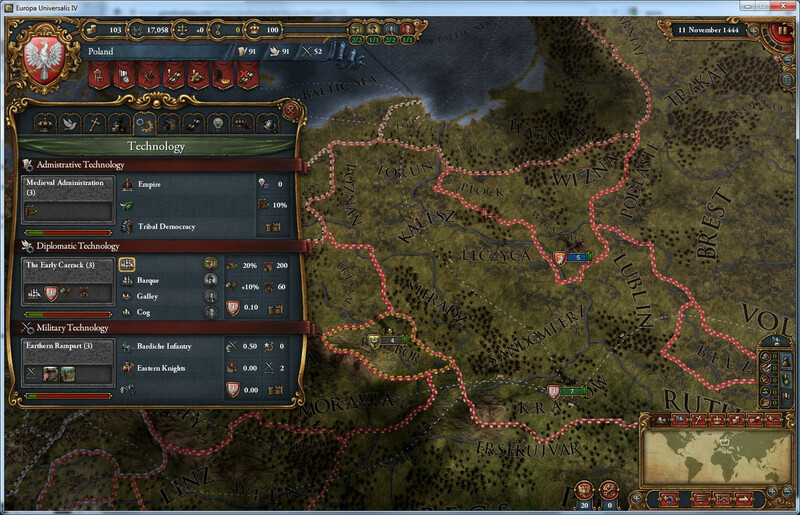 EU4 is looking good so far however, less than a year until we can get our hands on it. The major land campaign of WW2, Germany vs Russia (ie. the fun bit most people buy the game for), requires you to have the AI fight for you. Just bought vicky 2 on steam and it keeps crashing on initialising maplogic, I've tried verifying the local files on steam but no dice, is there any thing I can do? Go delete the map cache in your Vic 2 map folder inside the Paradox folder in My Documents, then go to your Steam folder and launch the game directly from there with v2game.exe. It should build everything and load up fine. You can launch it through the steam interface normally after that. I have fought and won Barbarrossa without using the AI. Liberal use of the pause button required, though. I don't remember seeing this in any EUIV dev diary, but will there be multiple flags for each country like in V2? Like a Monarchy flag and a separate Republic flag? 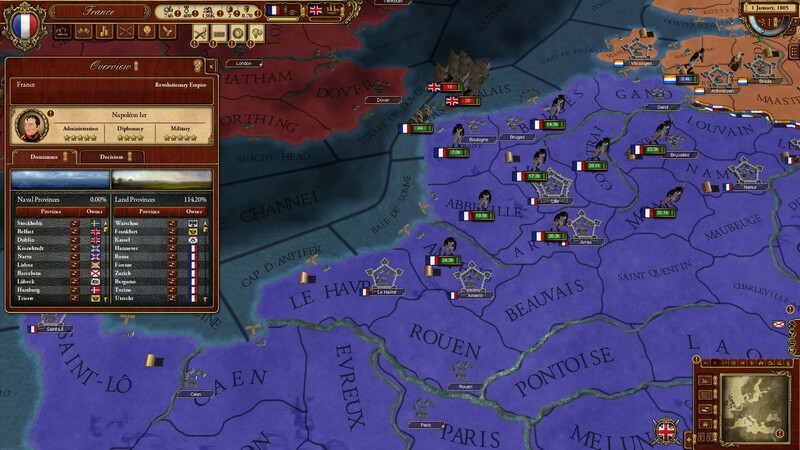 It seems like the transition from Monarchy to Republic will be a more significant event in EUIV than in EUIII and different flags for the same tag would make it easier to do things like have Revolutionary Scandinavia in your game if that ends up happening instead of Revolutionary France. They haven't actually mentioned yet if that will be in or not, I mean I would expect it to be but it's not like Paradox hasn't dropped good features between games before. By God, I hope so. Not very much fun after a while but the initial breakthroughs can be pretty cool. RIP in peace, old thread. Long may the new thread reign! Maybe add to the OP that (for Gamersgate at least - I don't have a steam version) you download and activate CK2 DLC from within the game. You don't download it from Gamersgate. I spent a while trying to figure out why my DLC was not appearing because of that. Not to mention with the I/P scenario, the Arab states troops all had something like 10-30 strength, and israel had 30. 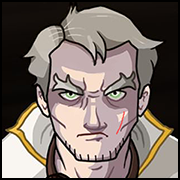 There's a mulitplier on strength, that makes it only as % effective in attacking as its strength. It meant one Israeli unit could take on up to 3 enemy units toe to toe. It was all just horrible balance. Yeah, I was the only one that survived as Egypt cause I stuck a destroyer in the suez so they couldn't cross it, Israel just went out and annexed Iraq and Saudi Arabia. 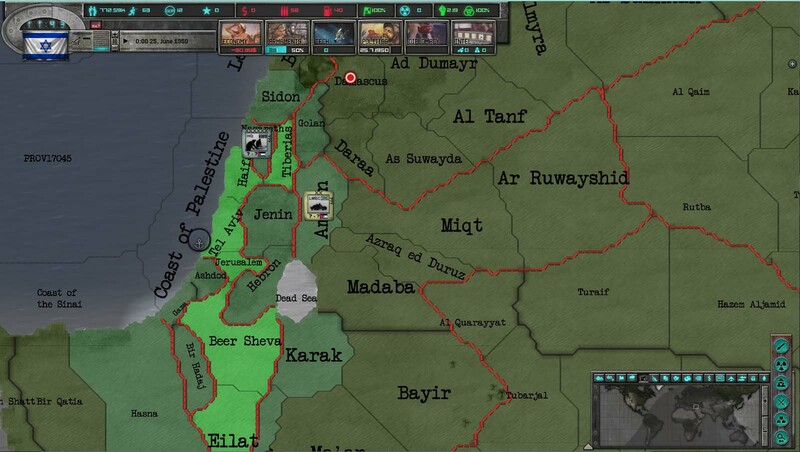 I think at one point i'd surrounded a single israeli division in the sinai with another 4 divisions and it defeated all of them horribly. Whats a good nation to start with in vicky 2, is it better to start with a small nation so as not to get overwhelmed or a large one so you have more options? 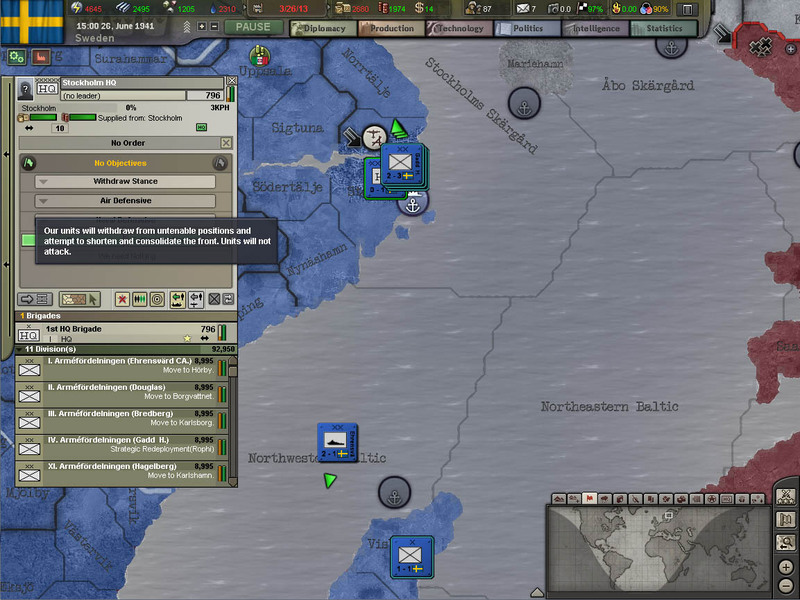 Could someone describe instances of easily attainable fun to be had in Victoria 2? My first real game was France. It's strong and hard to fail at, but still let's you learn the game while playing it.